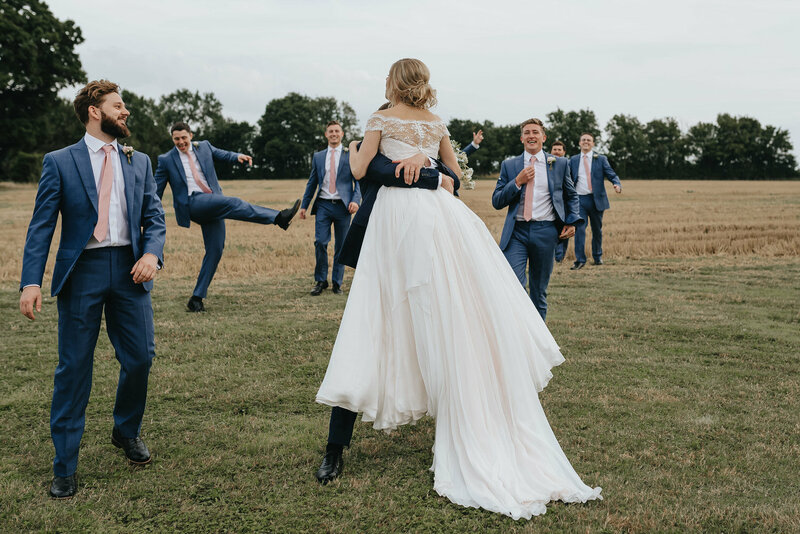 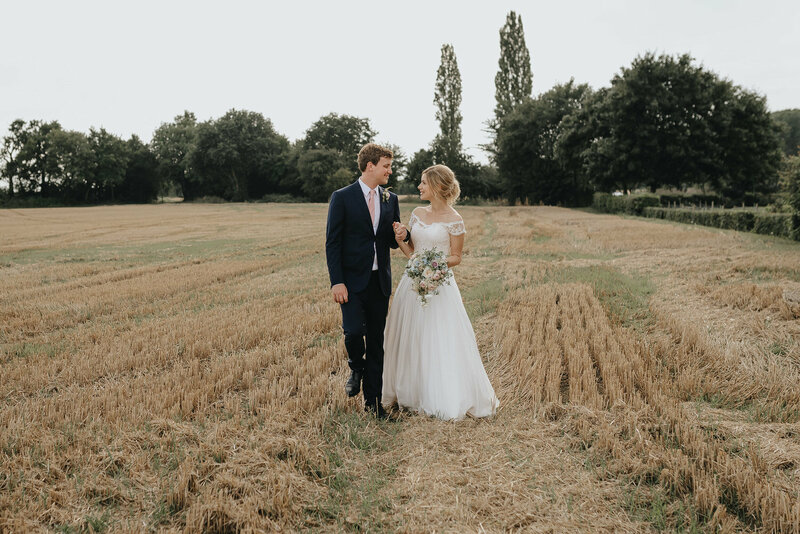 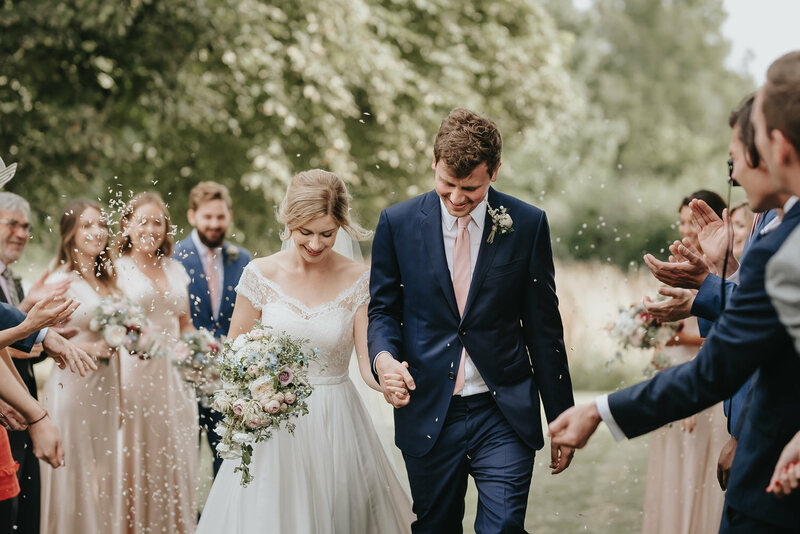 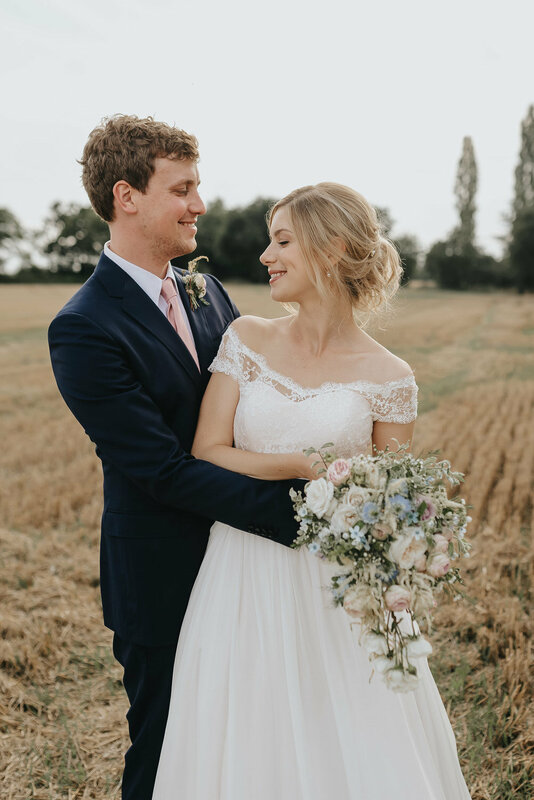 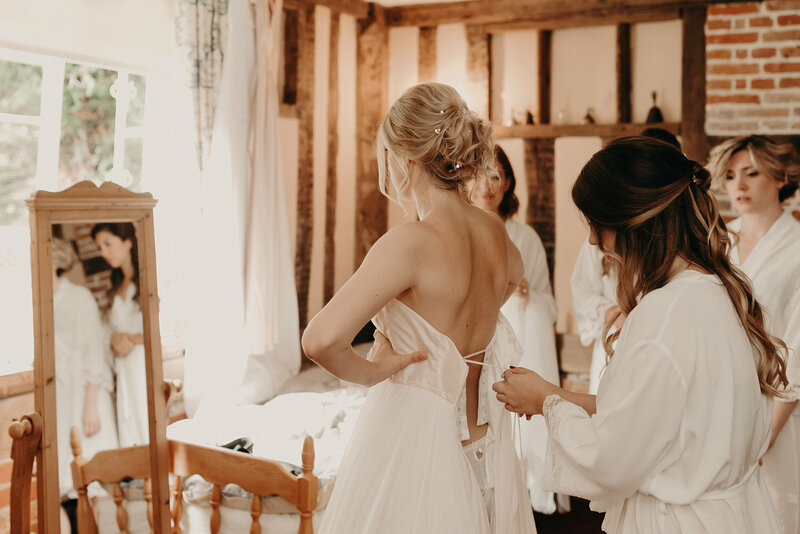 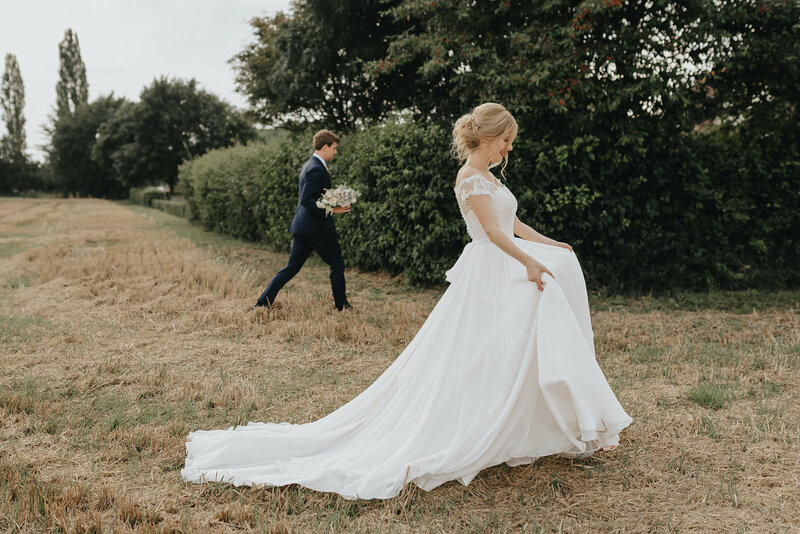 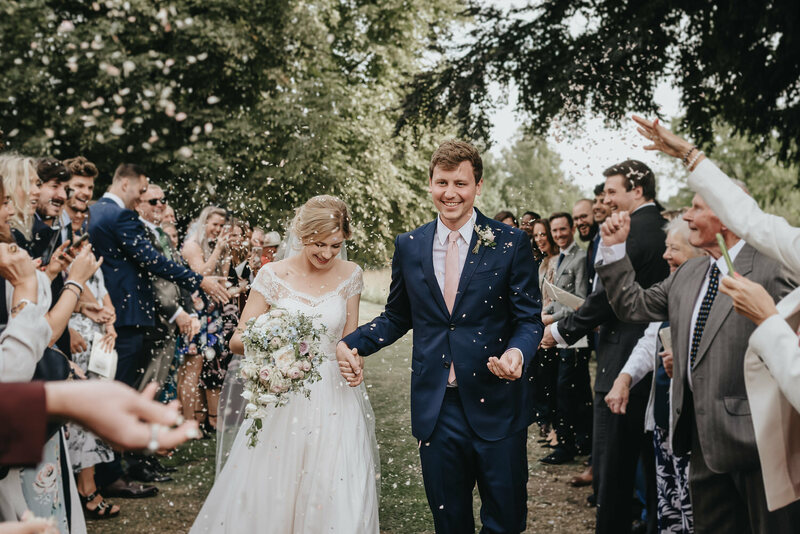 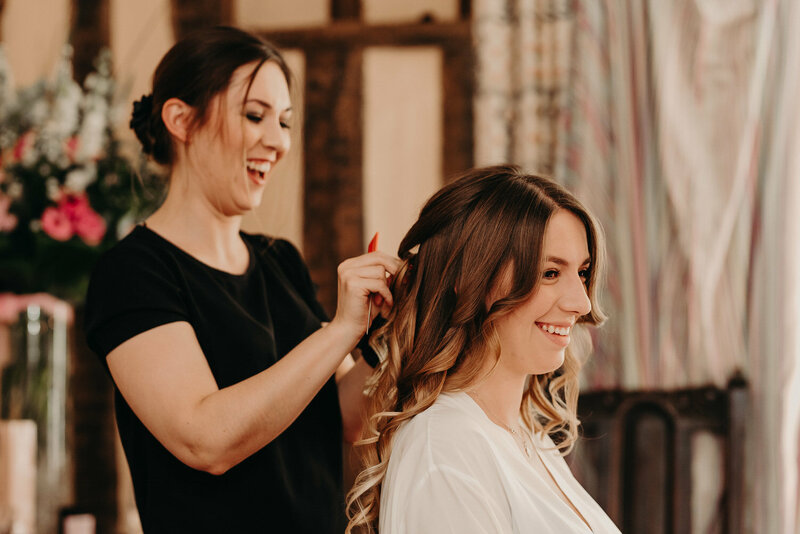 How can I describe Maddie and George’s Norfolk farm wedding? 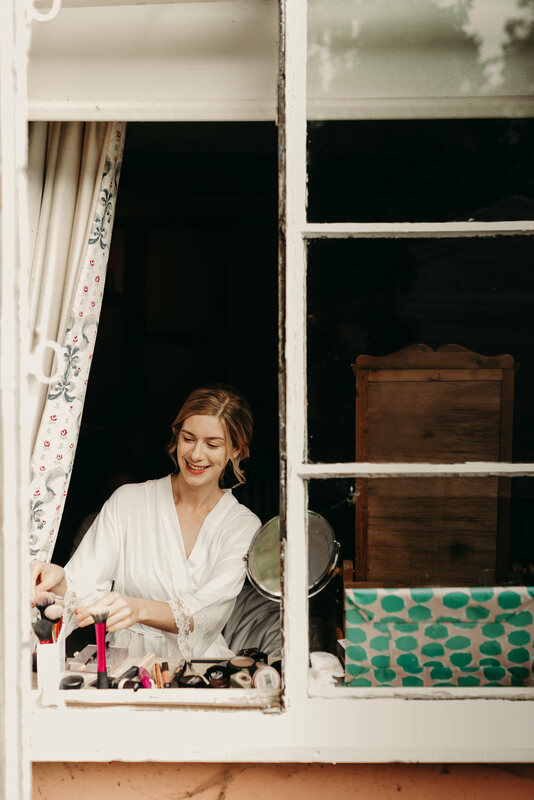 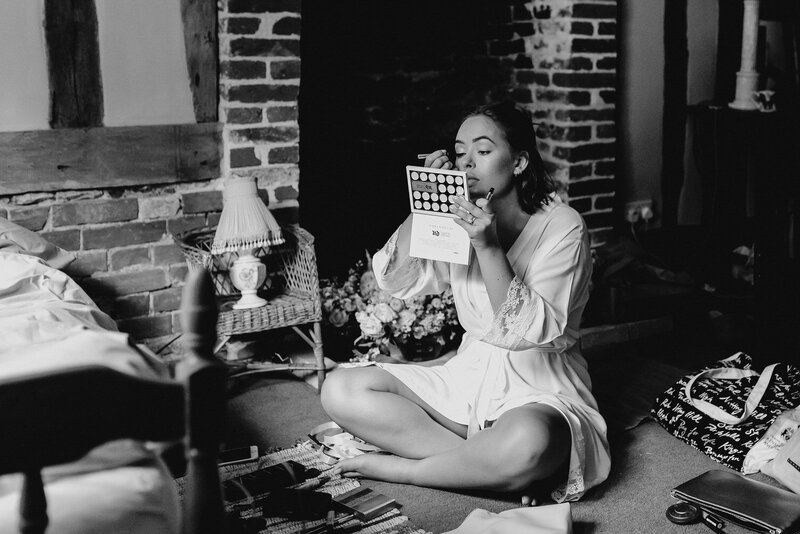 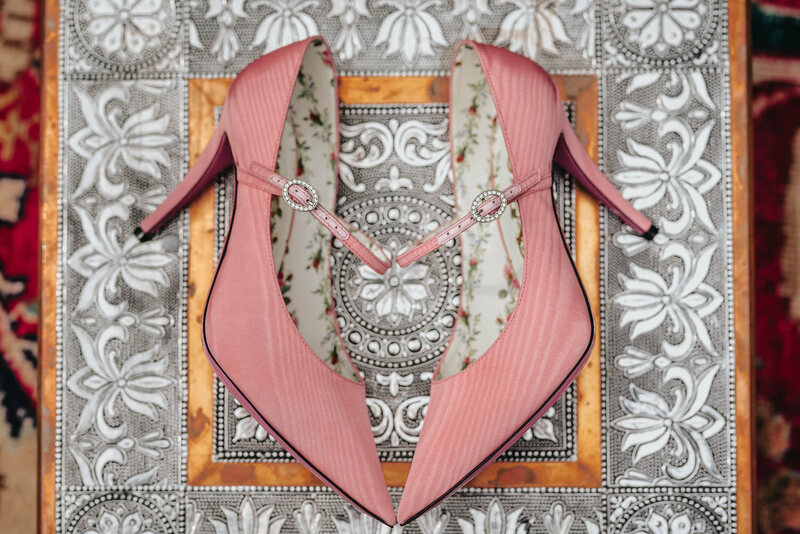 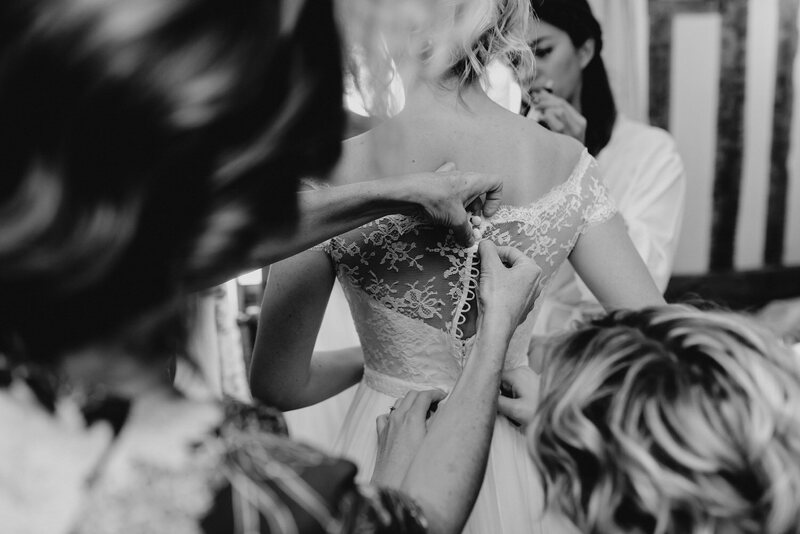 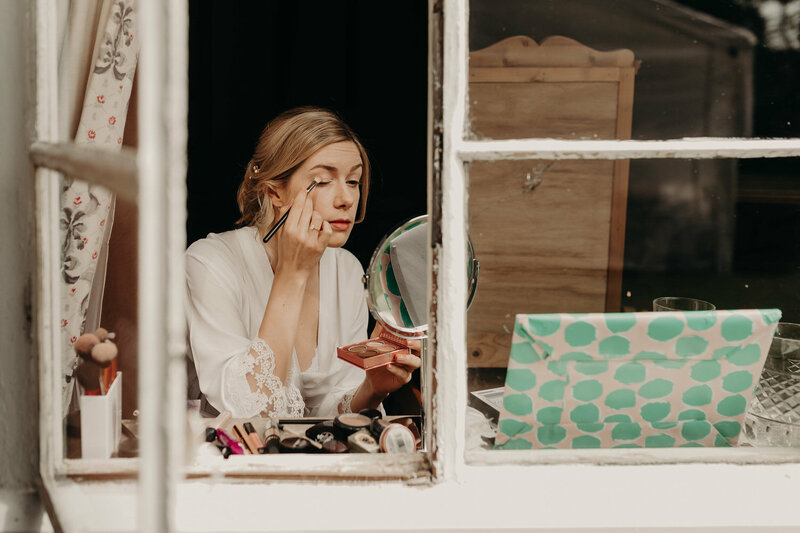 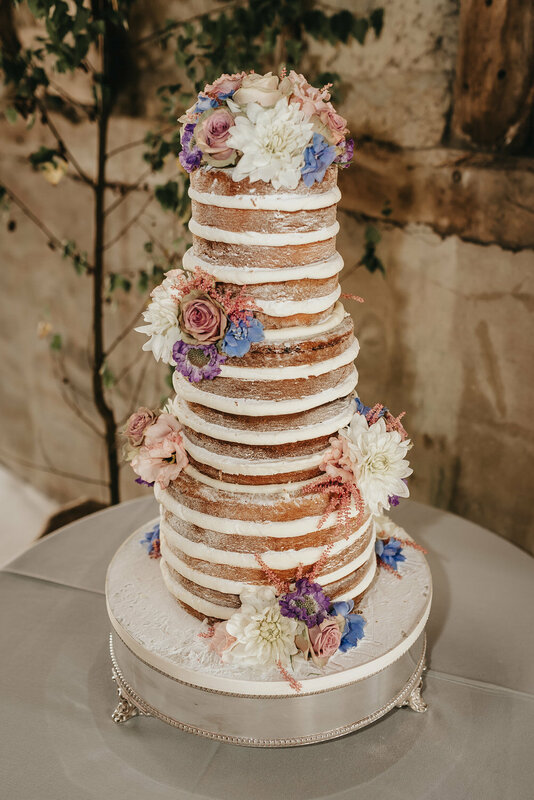 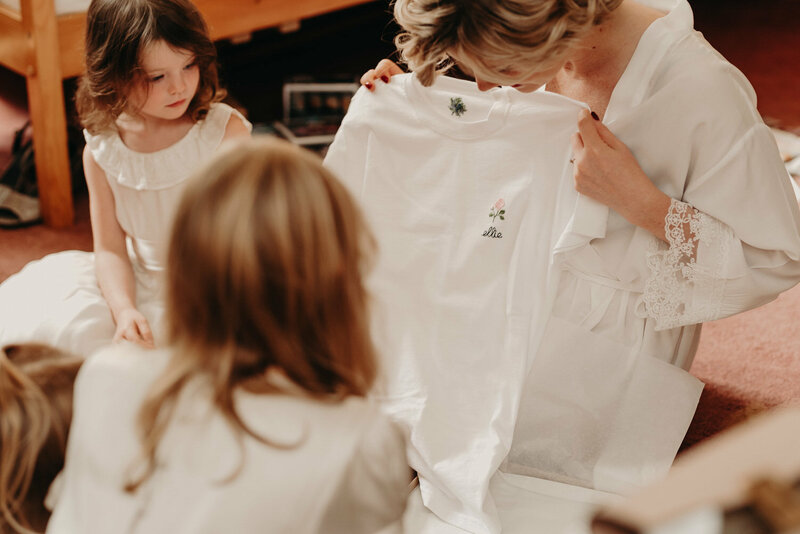 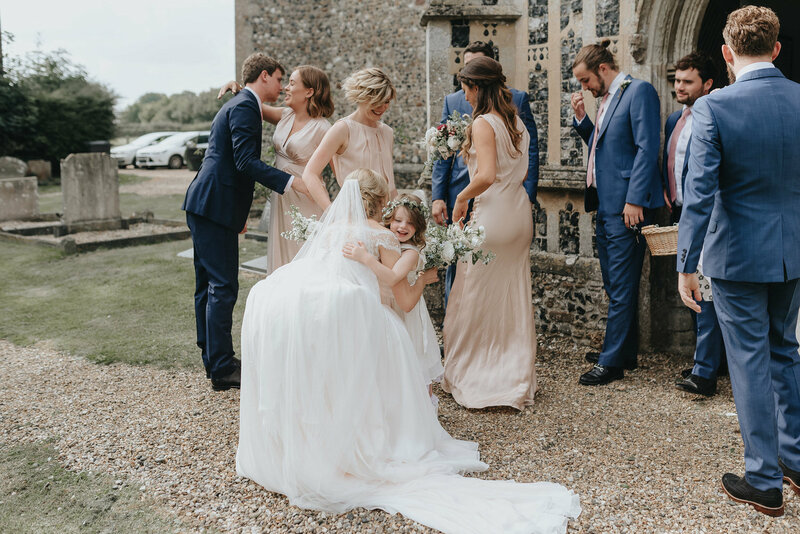 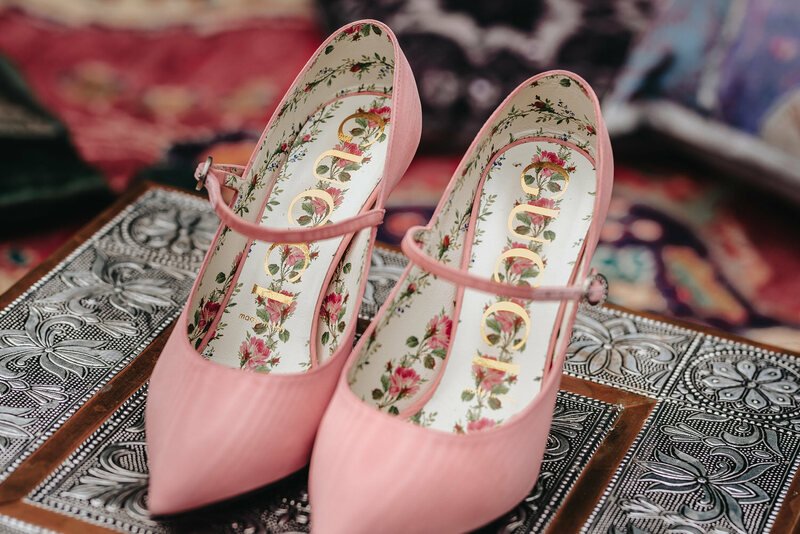 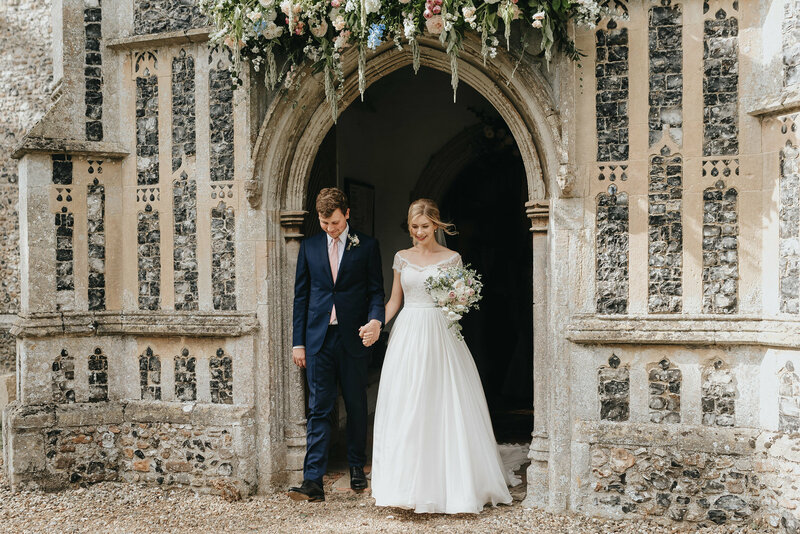 A Boho wedding in Norfolk? 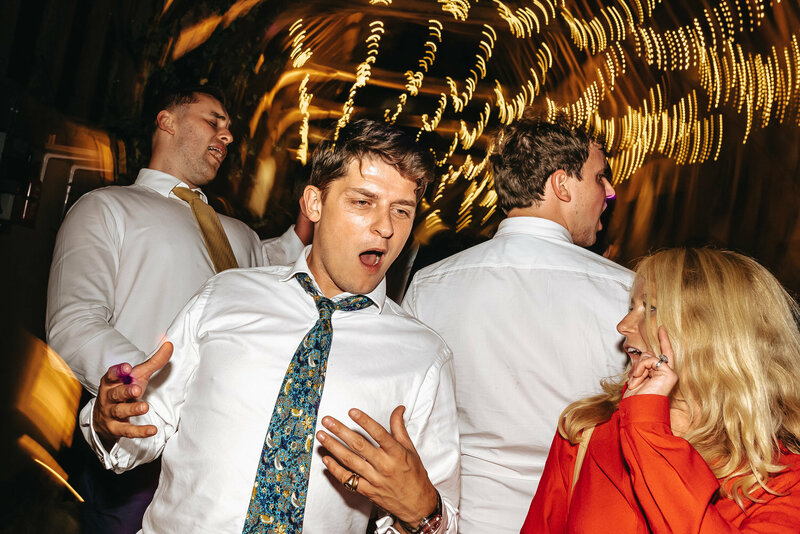 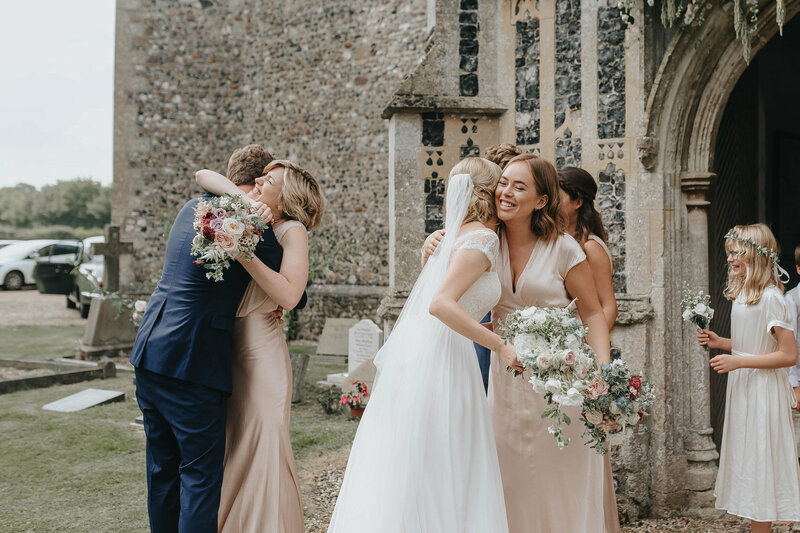 A wild wedding in Norfolk? 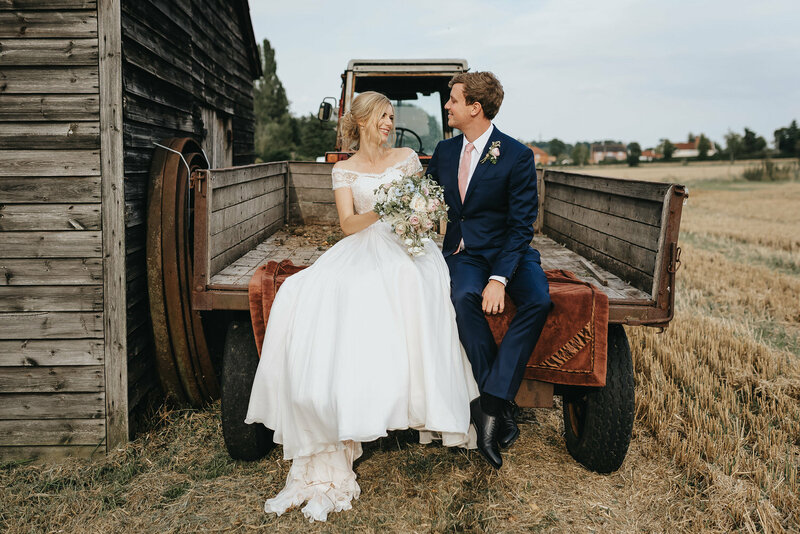 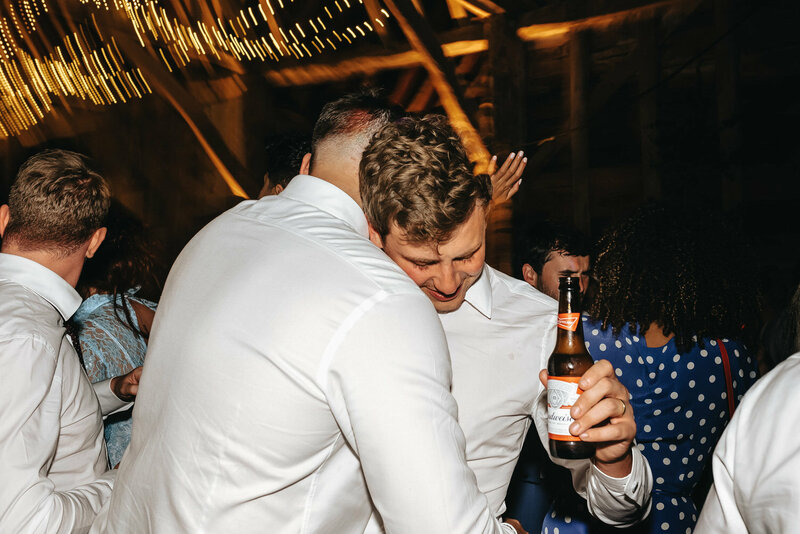 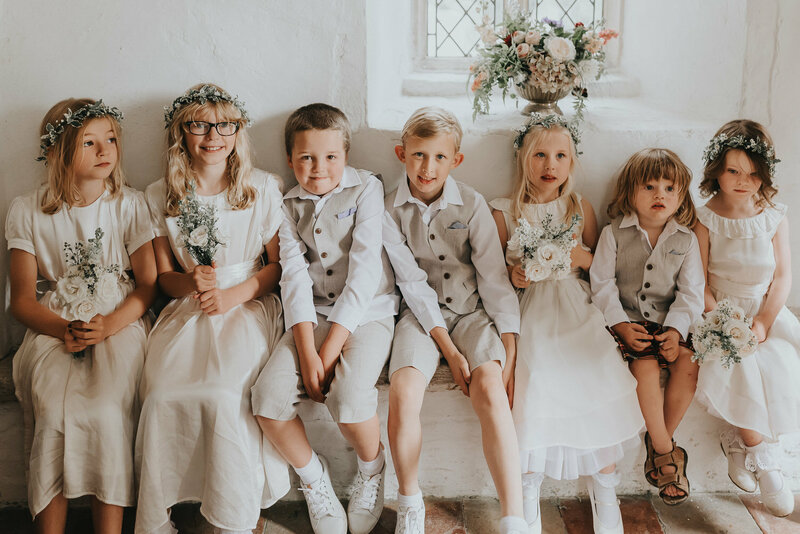 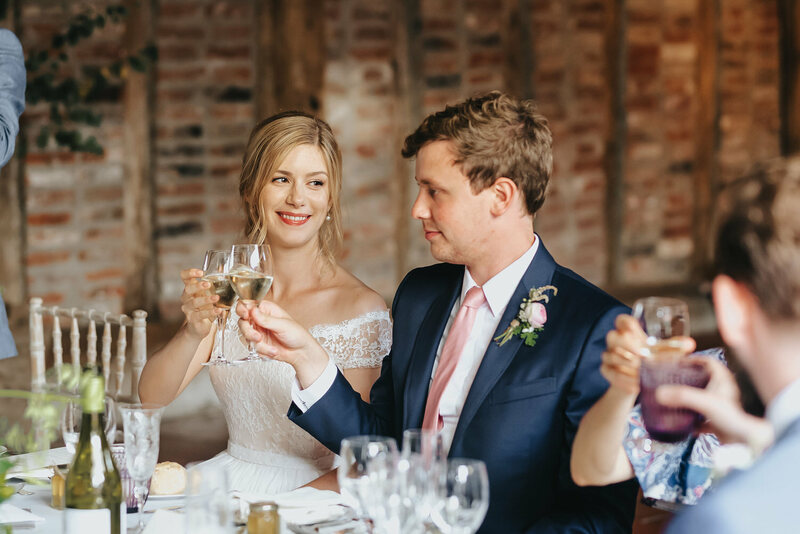 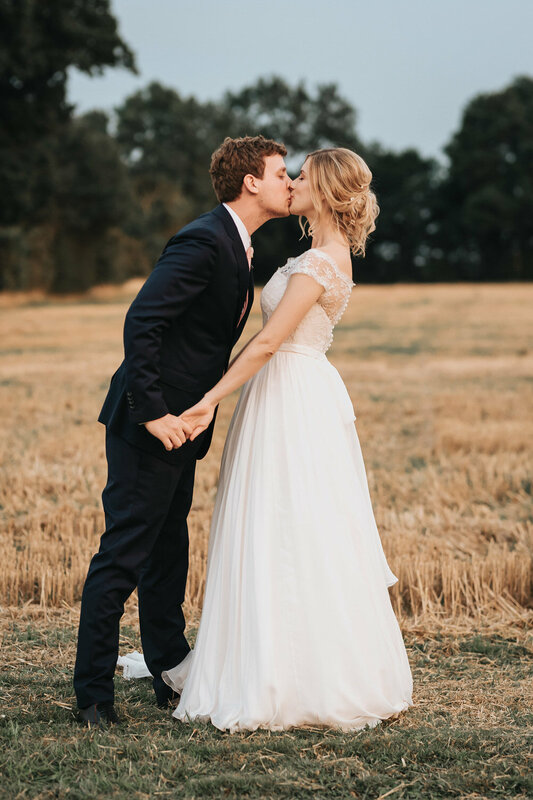 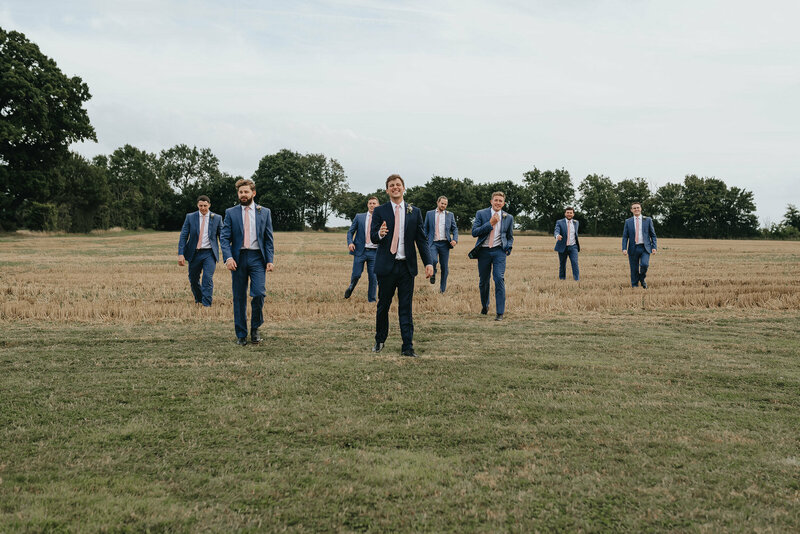 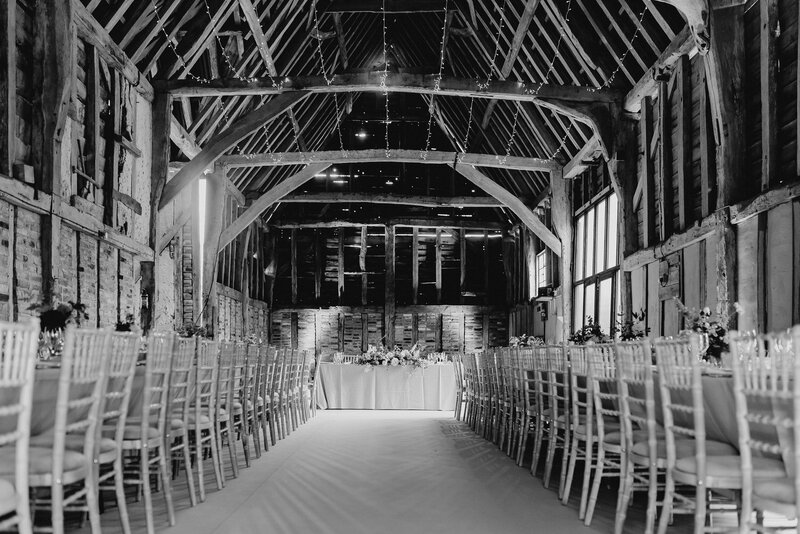 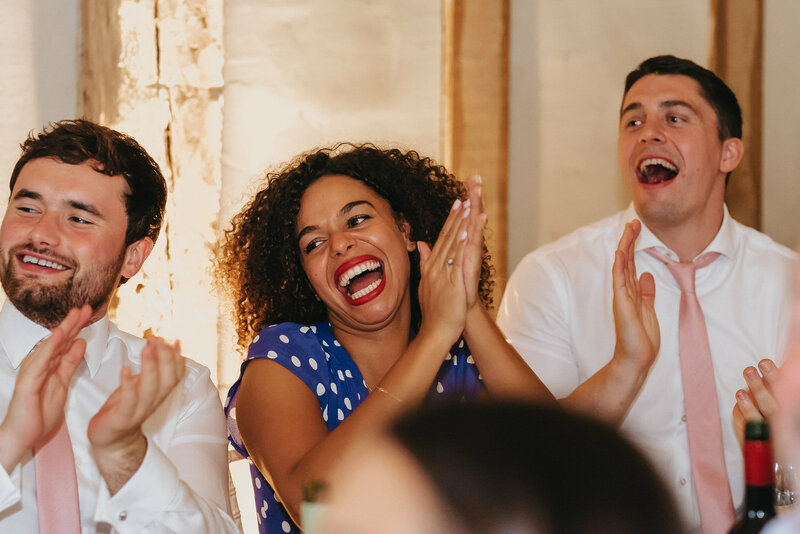 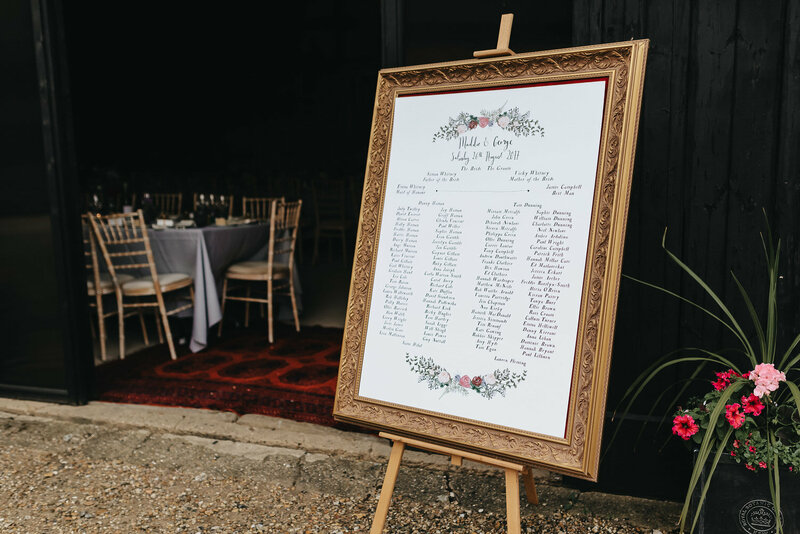 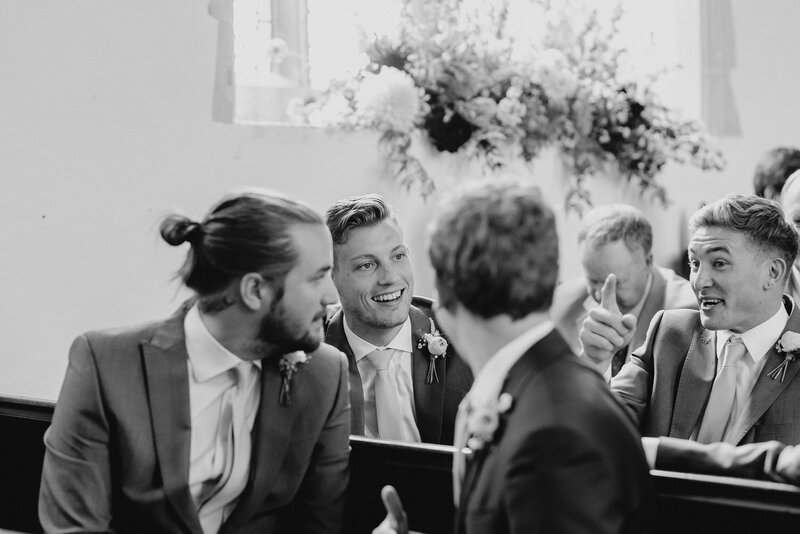 An amazing Norfolk farm wedding that you just HAVE to check out! 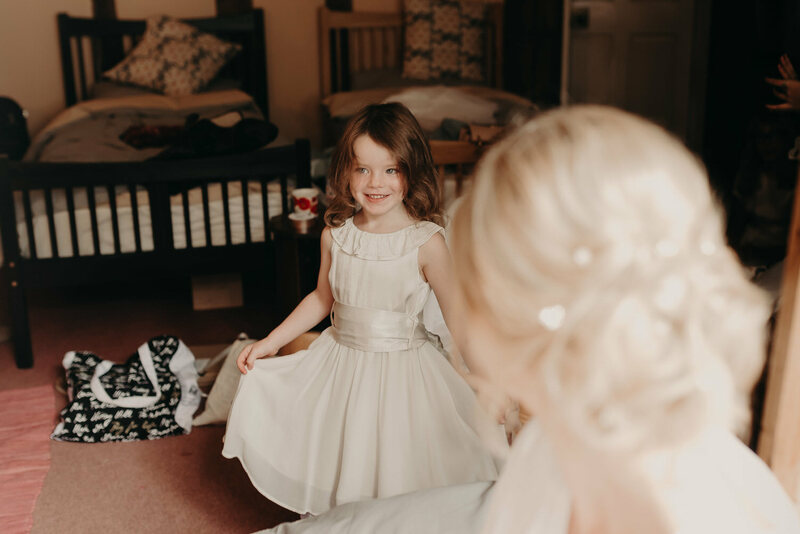 Maddie got ready in her grandparents’ cottage which is situated on the family farm and was full of so much beautiful character. 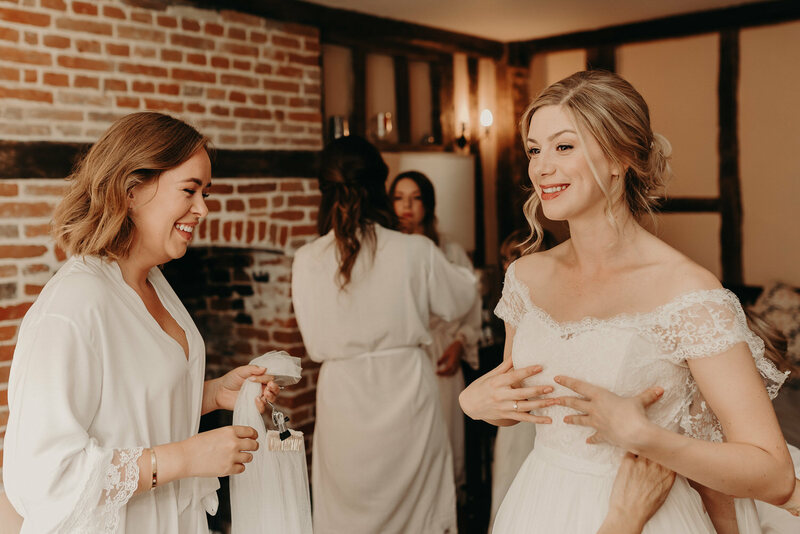 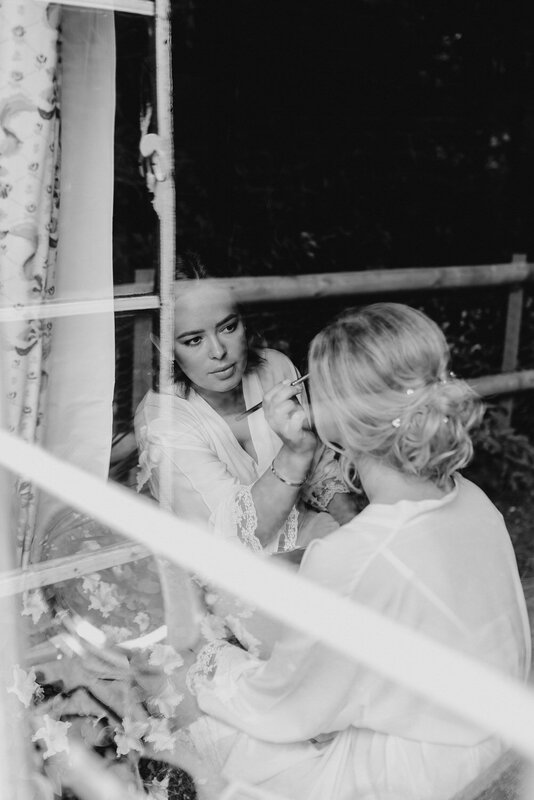 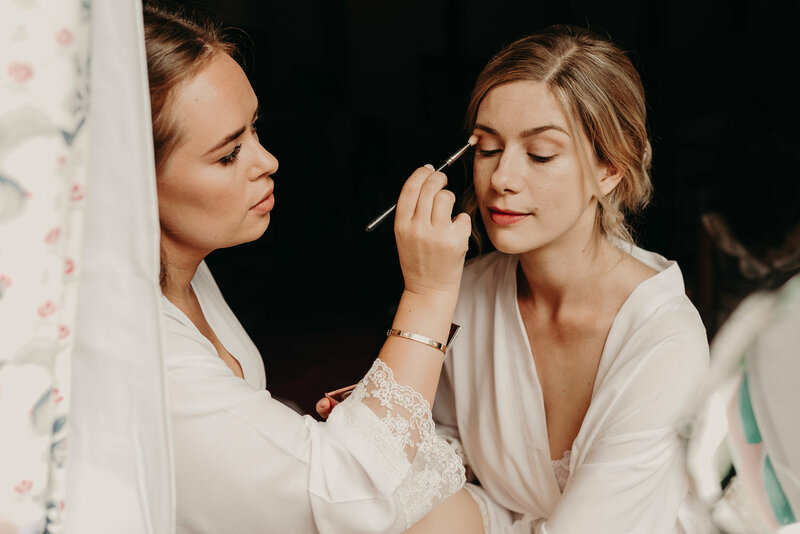 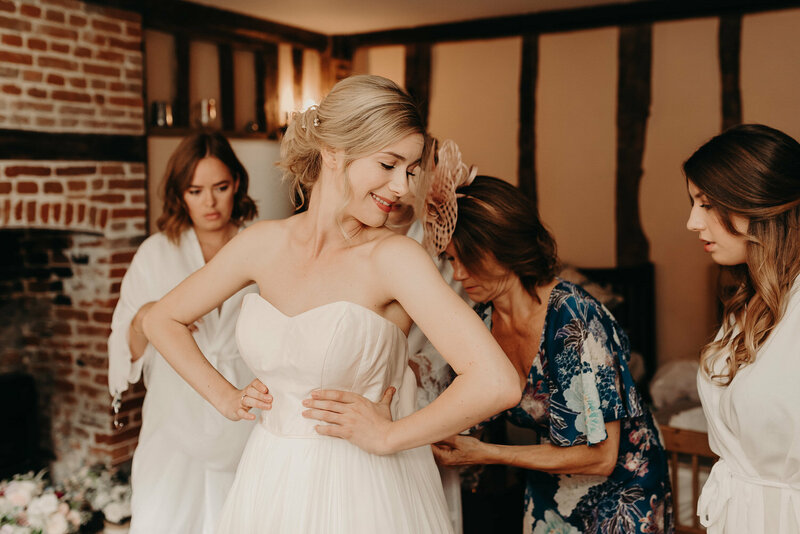 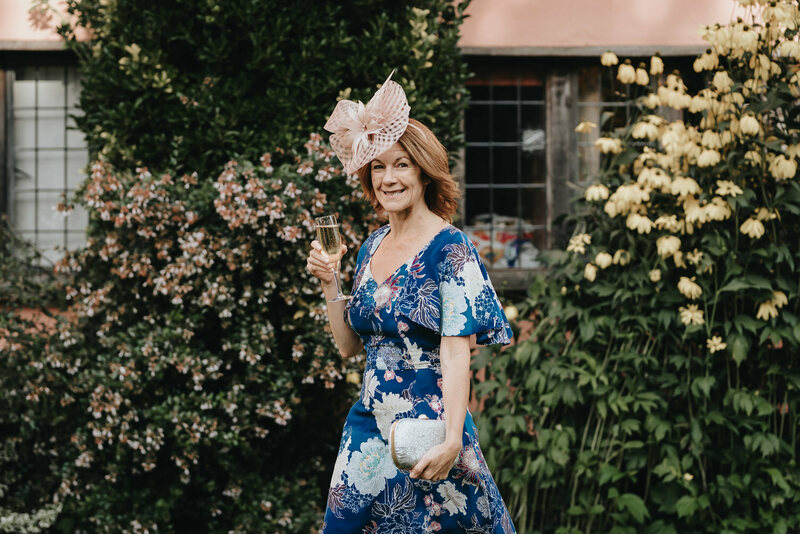 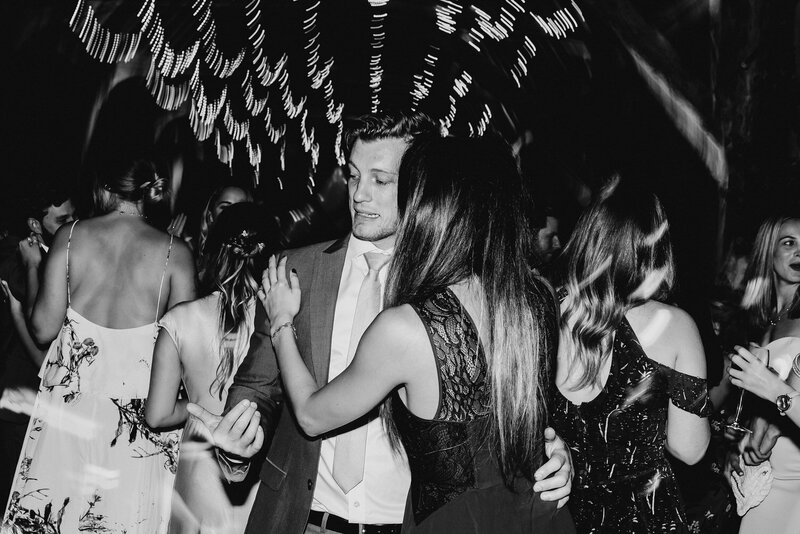 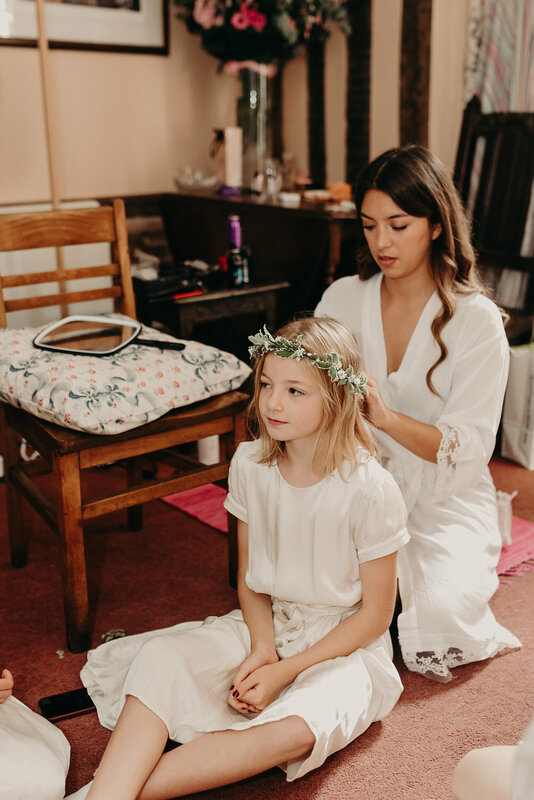 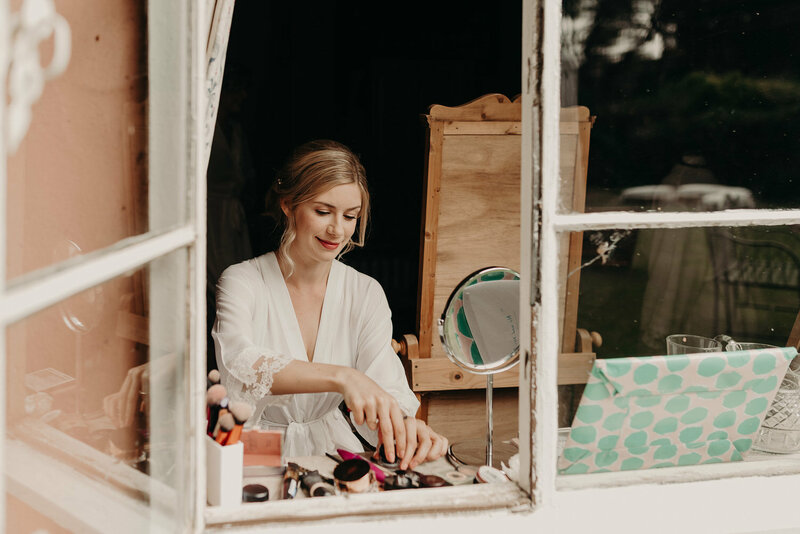 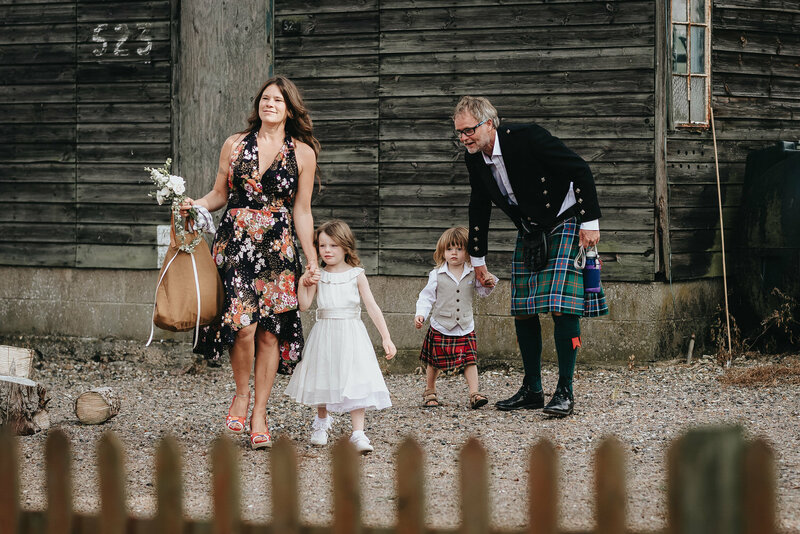 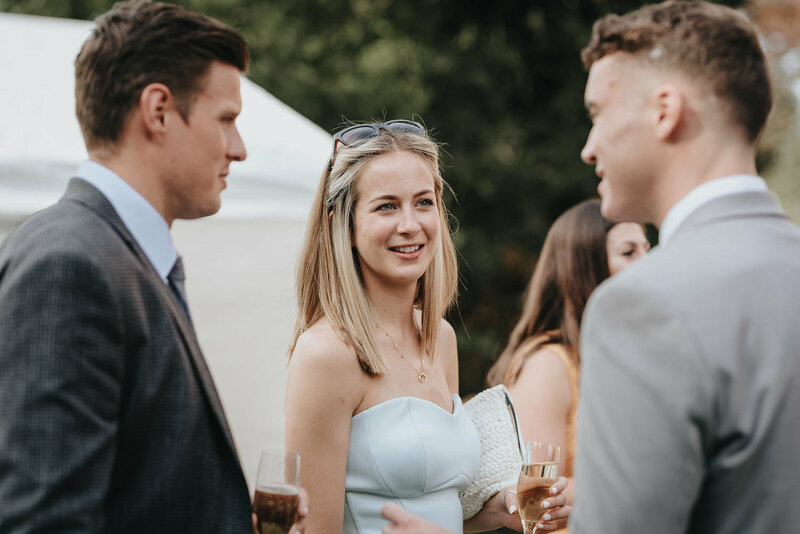 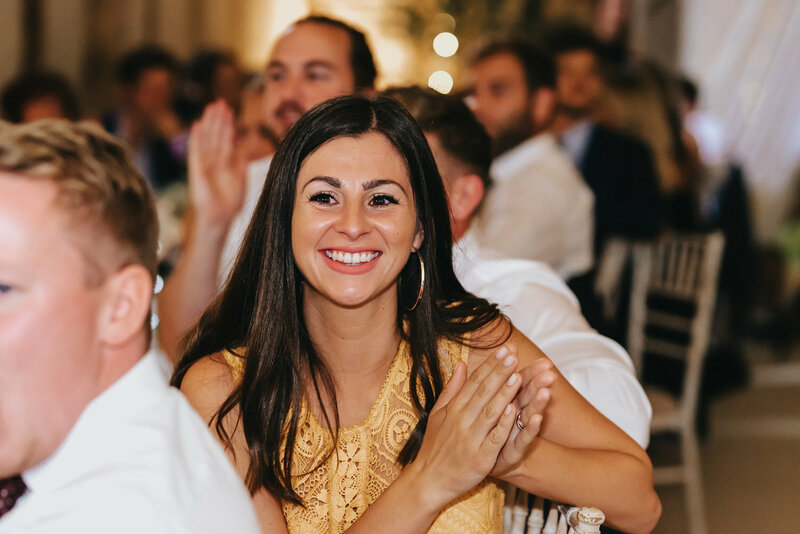 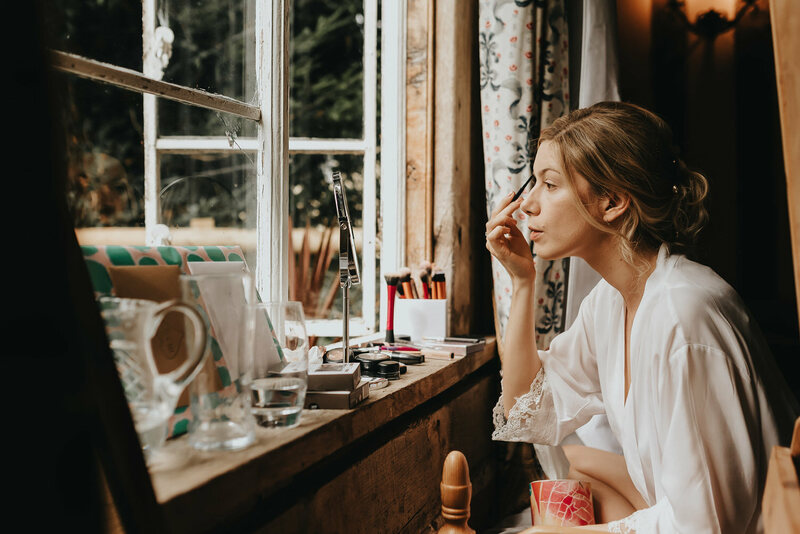 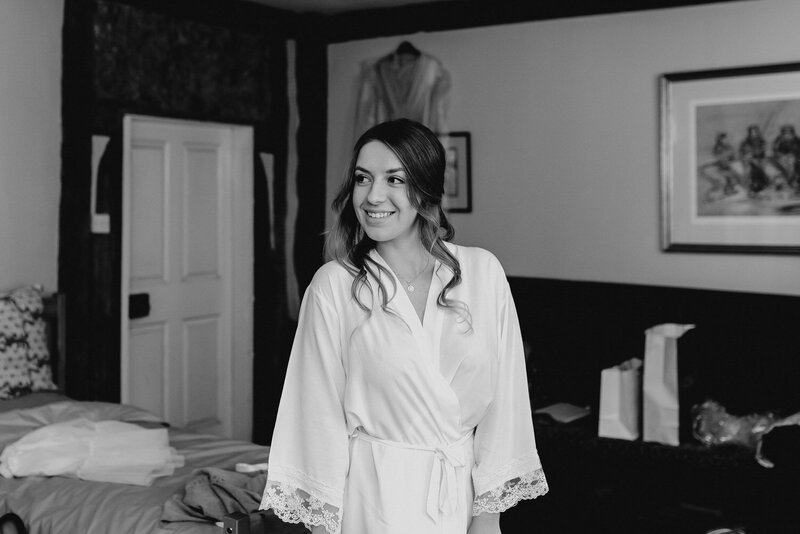 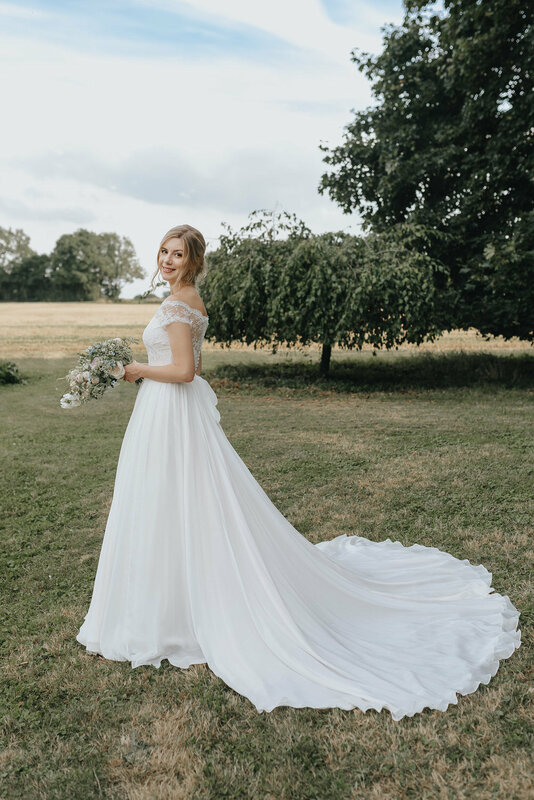 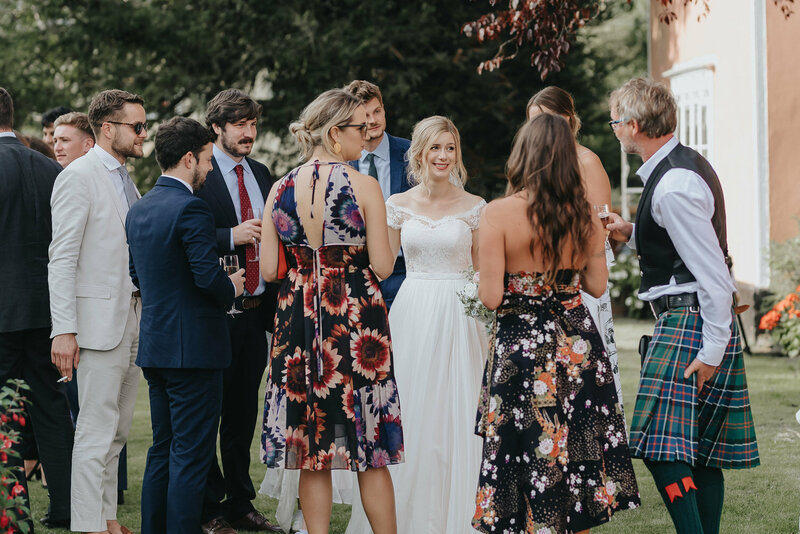 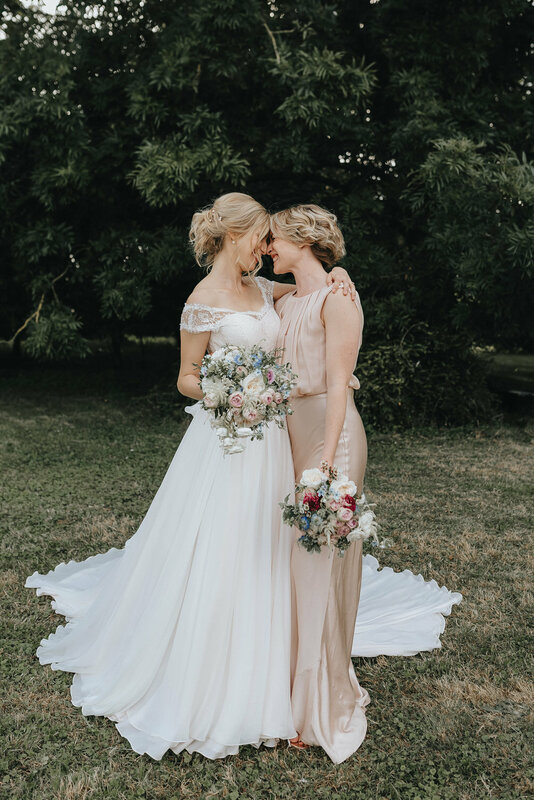 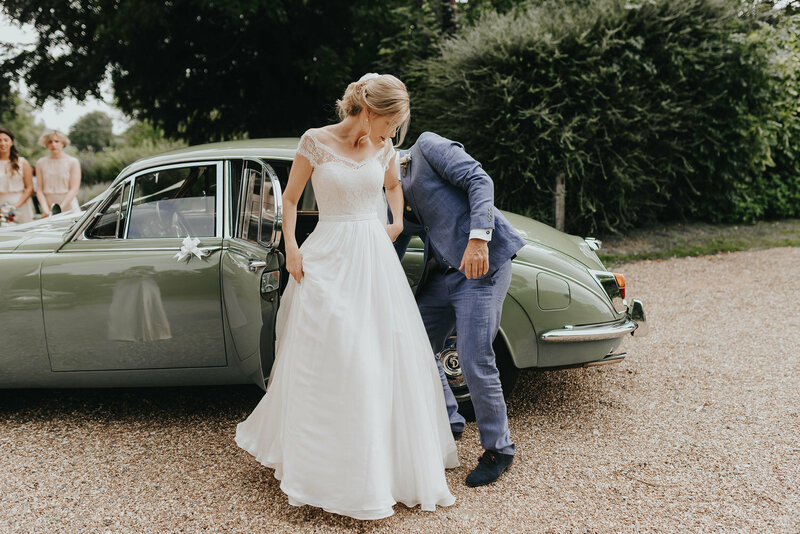 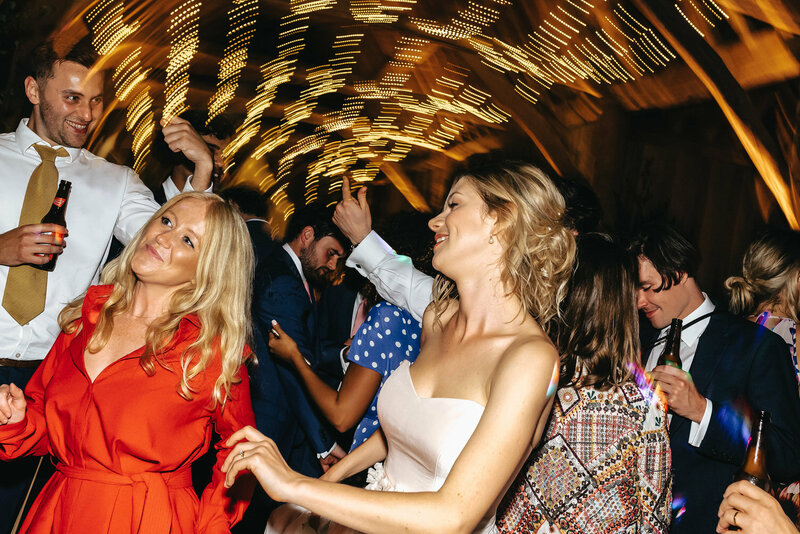 Maddie looked simply stunning in her Naomi Neoh dress with her messy up-do hair, wild bouquet and natural make up she was the essence of understated natural beauty. 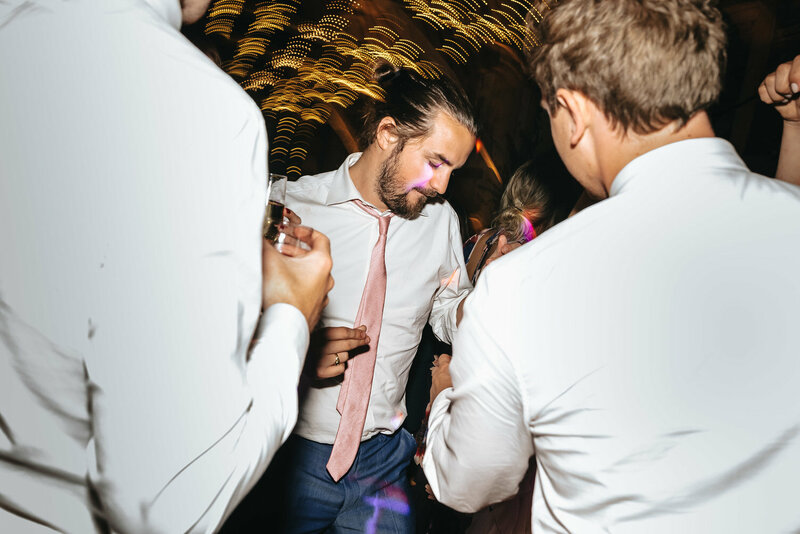 George didn’t let the side down looking very dapper in his Gucci suit. 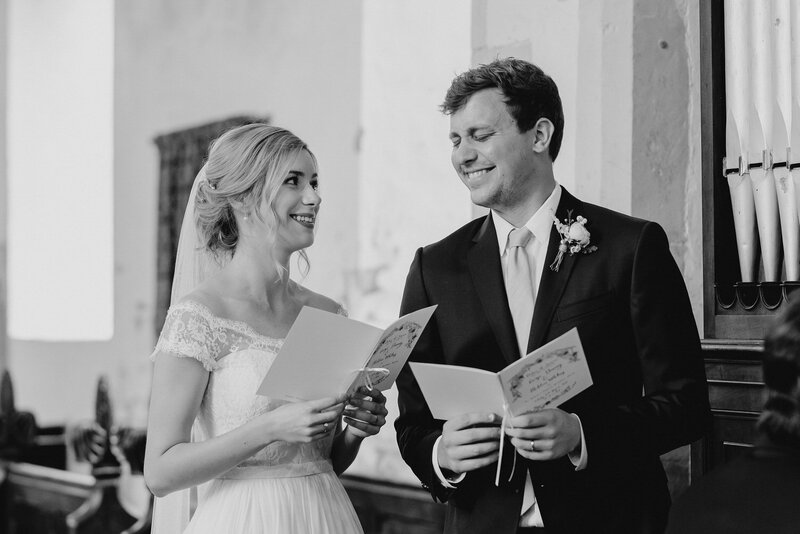 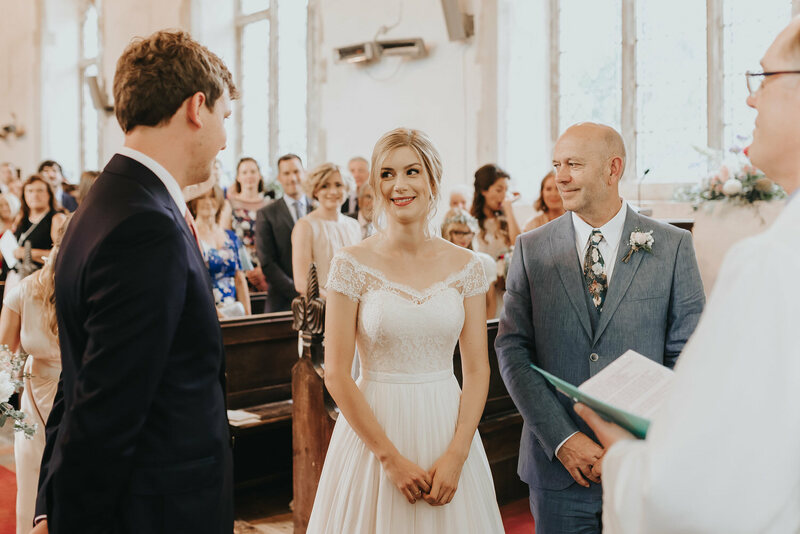 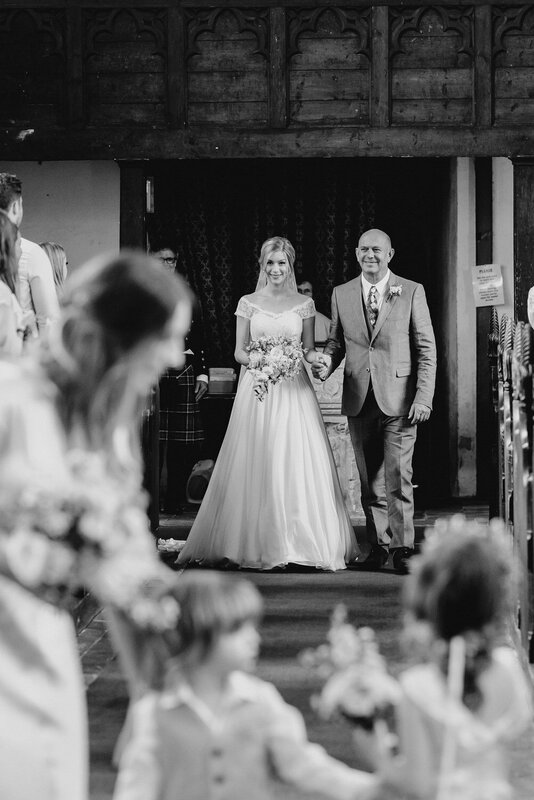 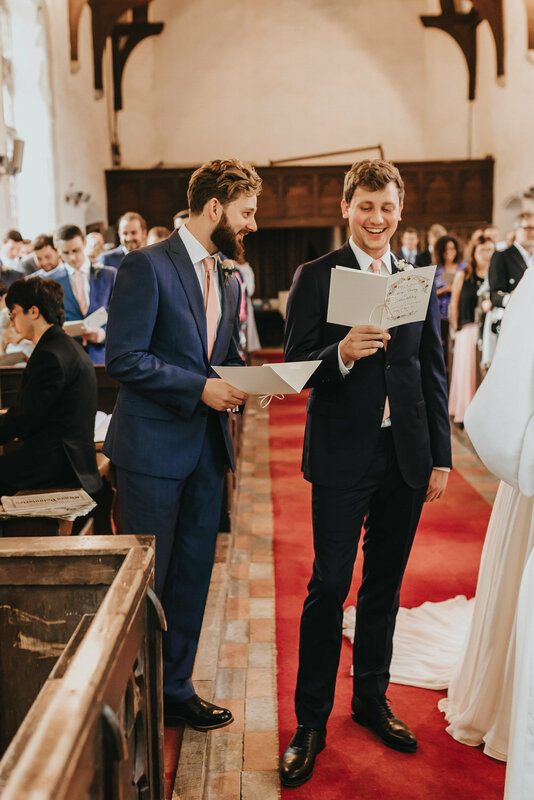 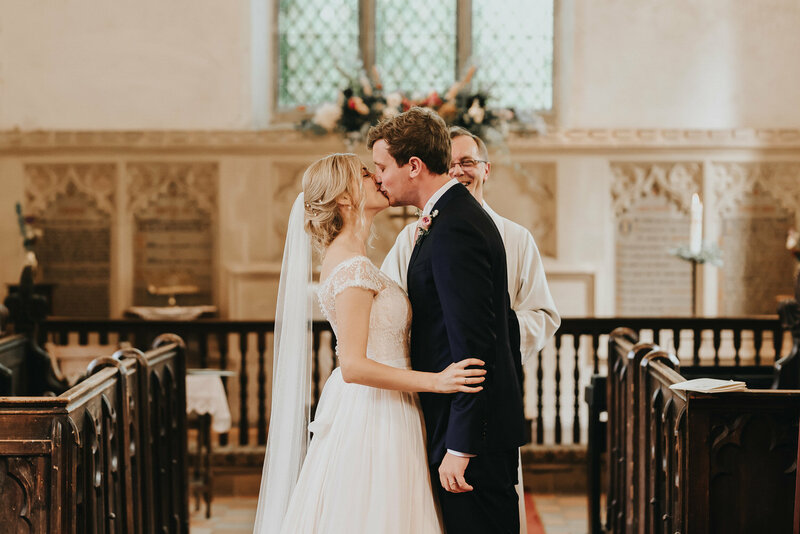 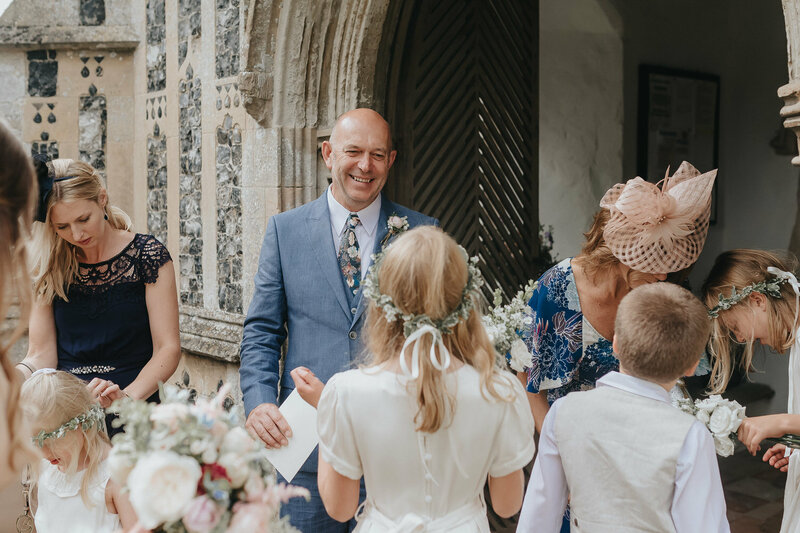 The wedding ceremony itself was held at St Andrew’s Church Wickham Skeith, near Eye, a special church as it is where Maddie’s parents were married nearly 30 years before. 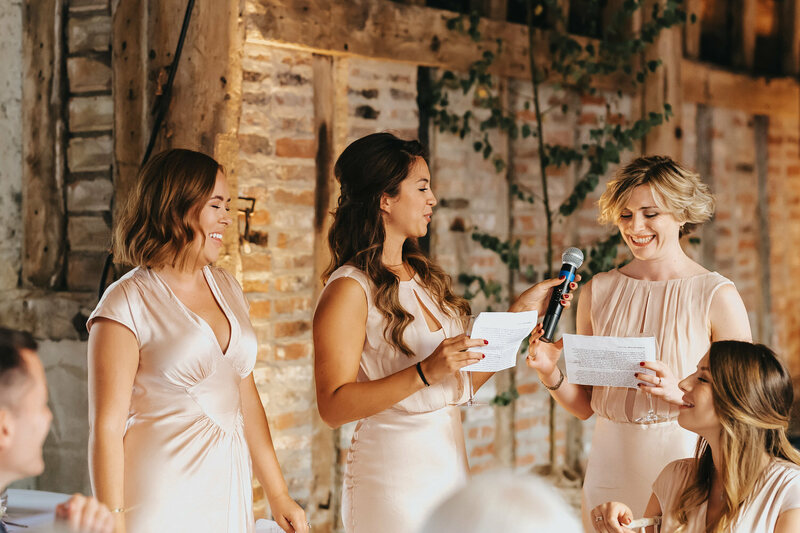 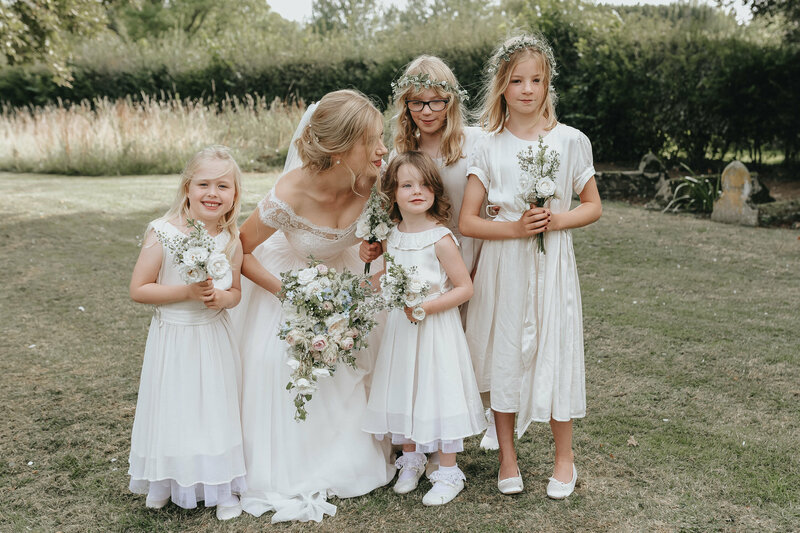 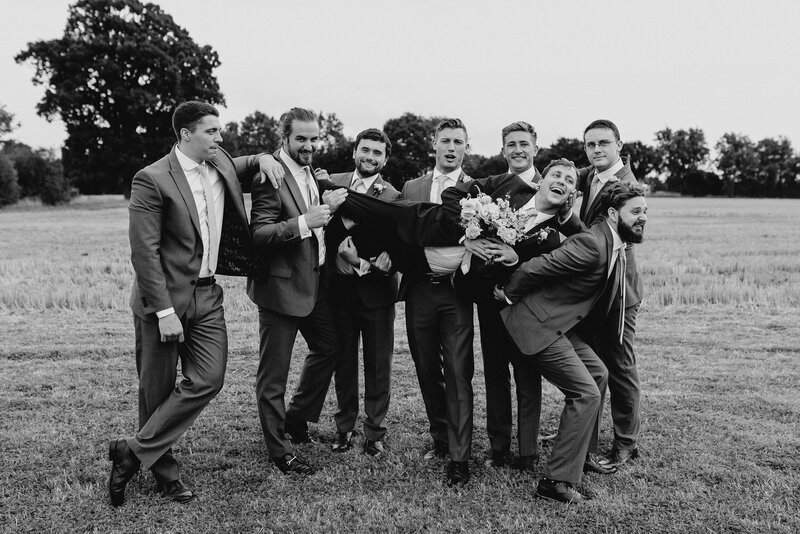 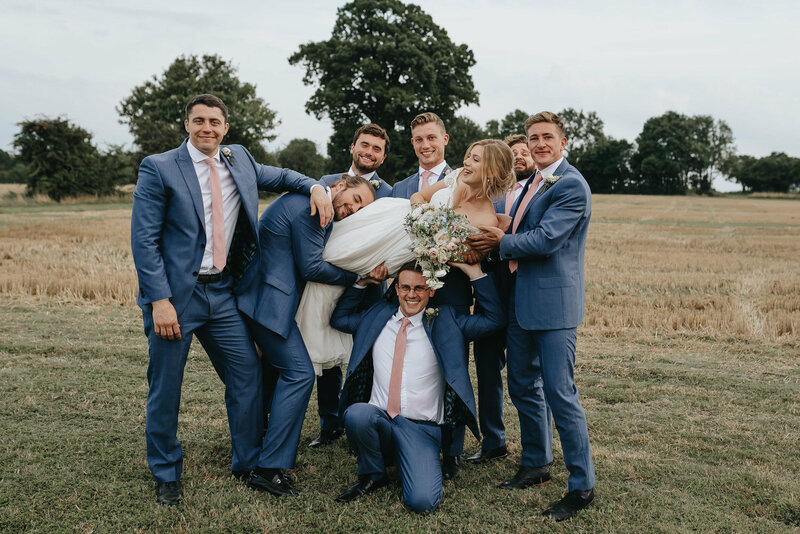 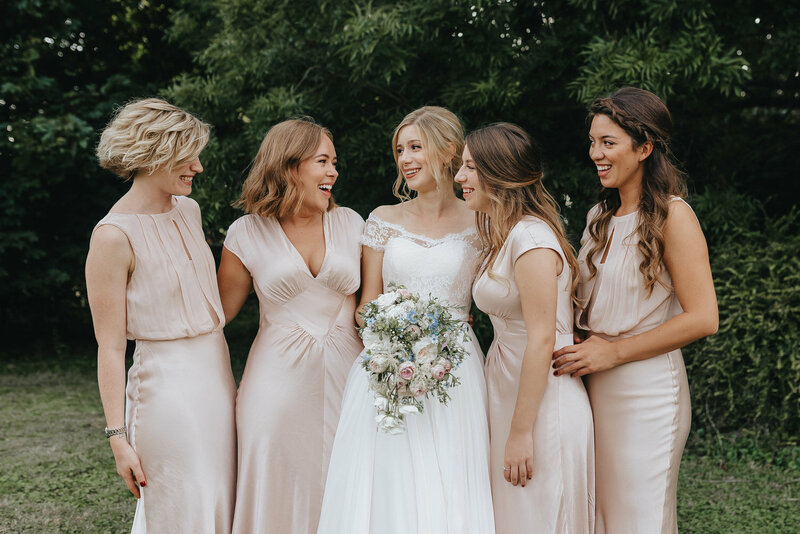 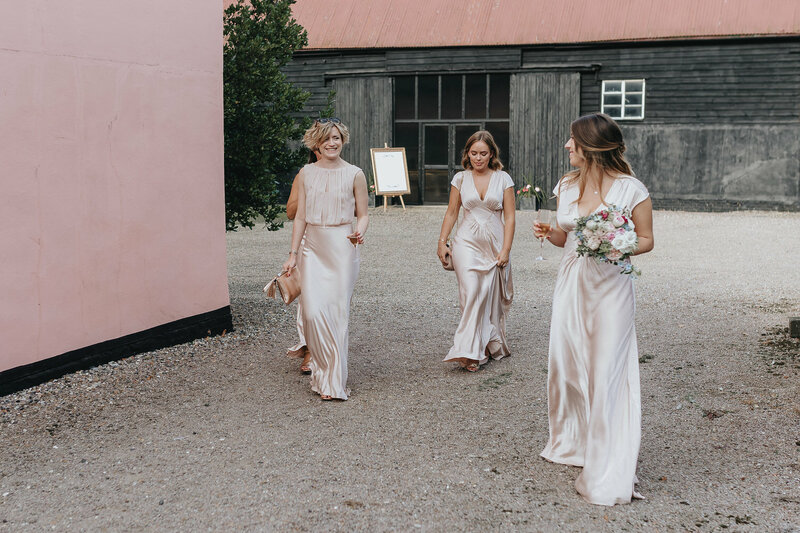 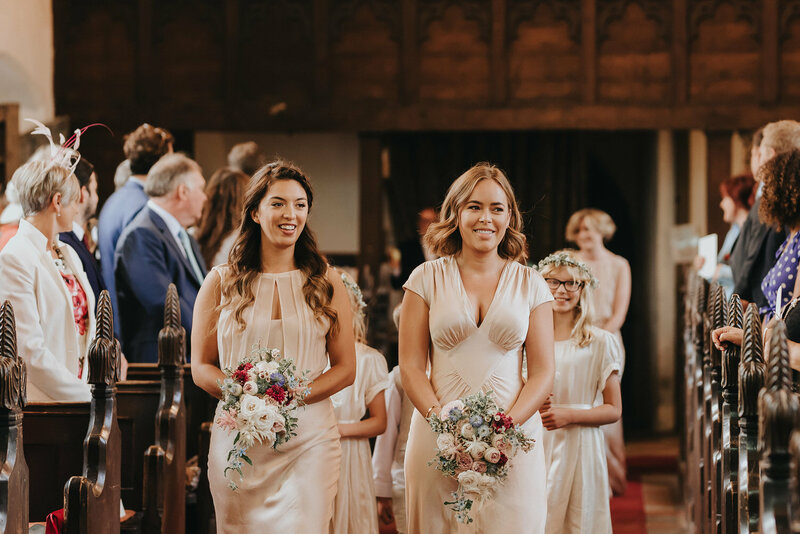 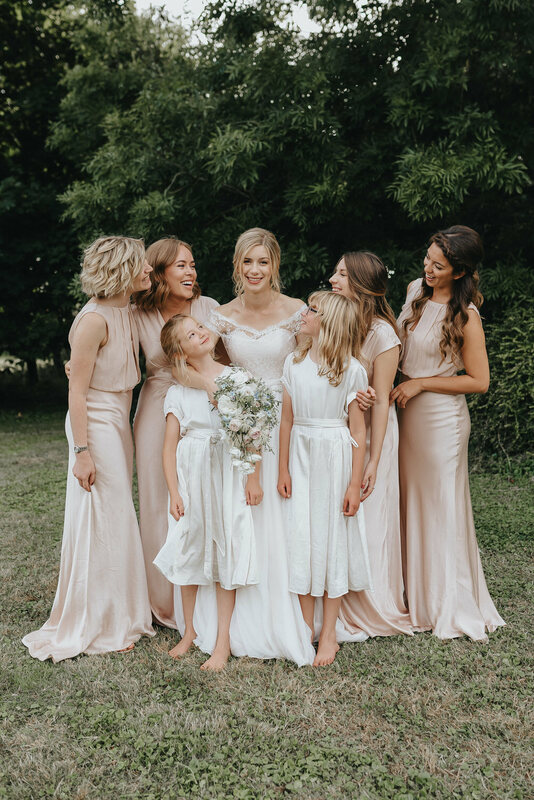 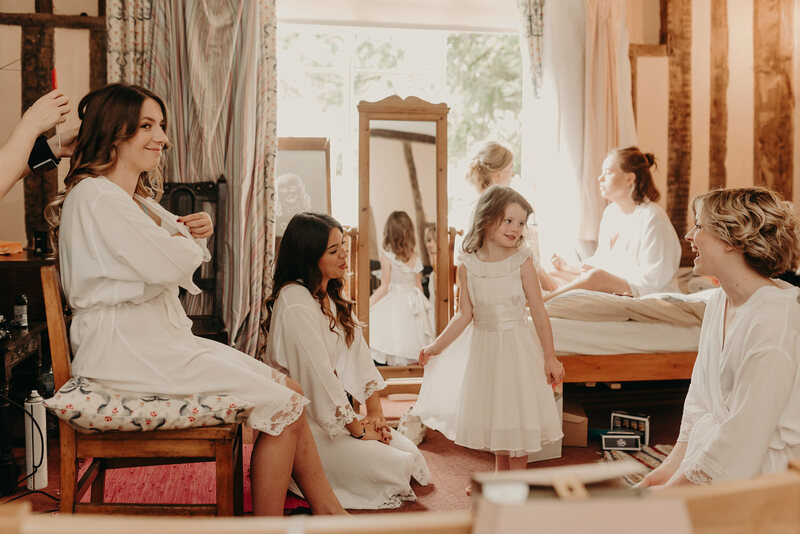 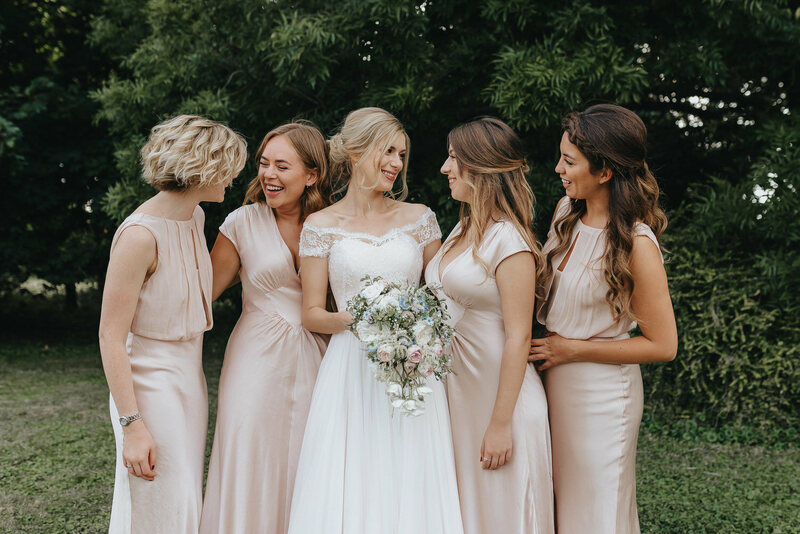 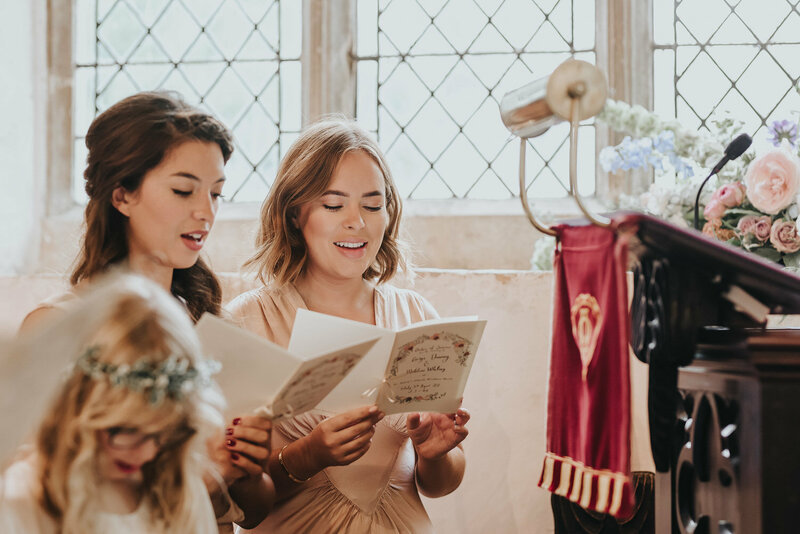 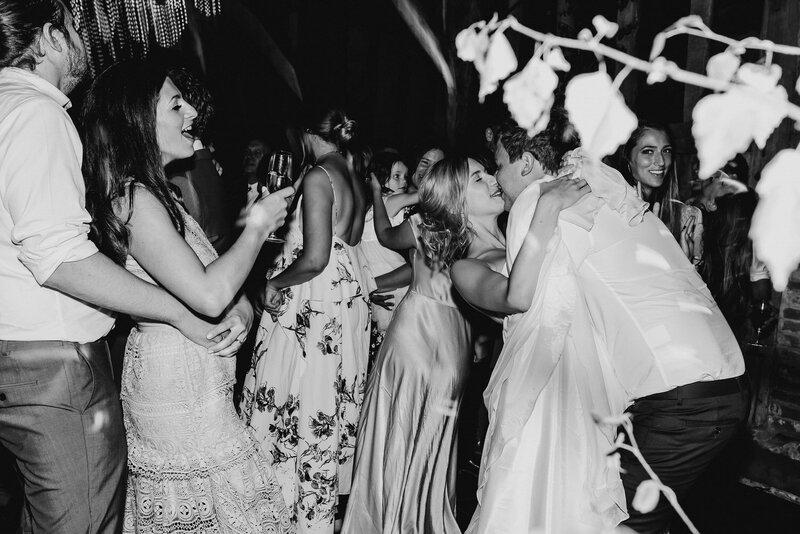 Maddie had four adult bridesmaids (one of which was YouTuber Tanya Burr) and four younger bridesmaids and they all led the procession down the aisle towards George. 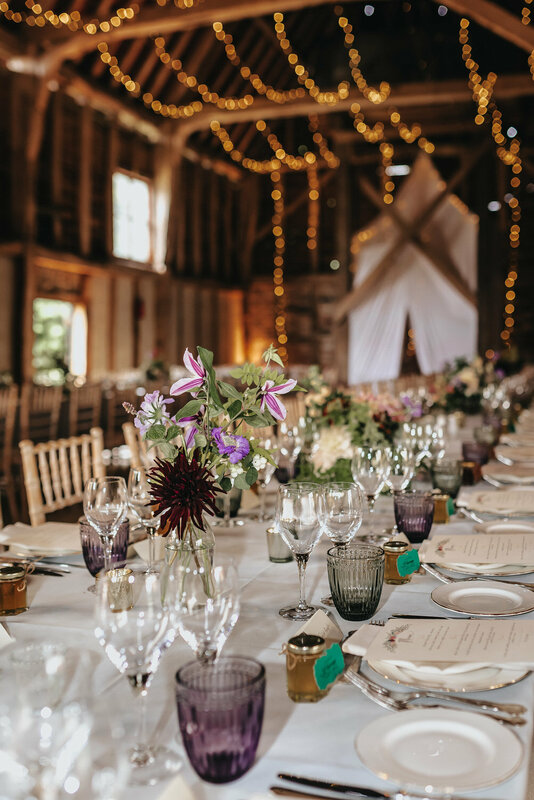 Now I’ve photographed many barn weddings but I have to say that I have never seen a barn decorated so exquisitely as this one at Maddie + George’s Norfolk farm wedding. 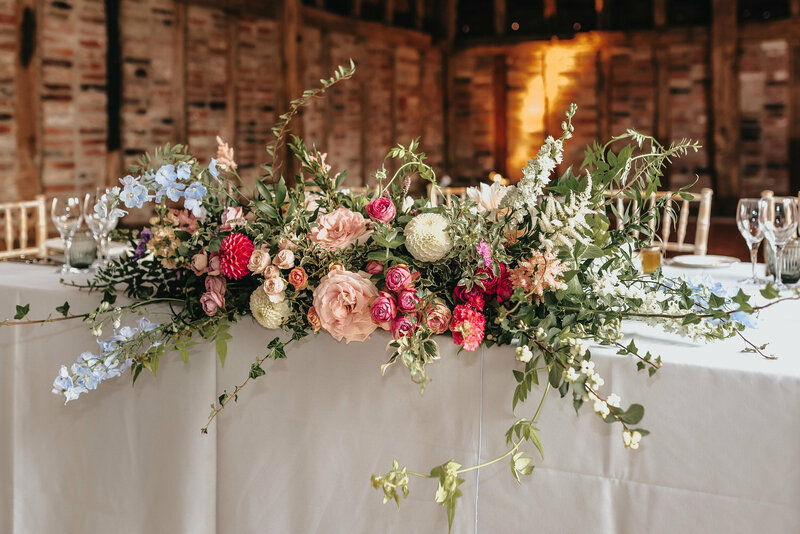 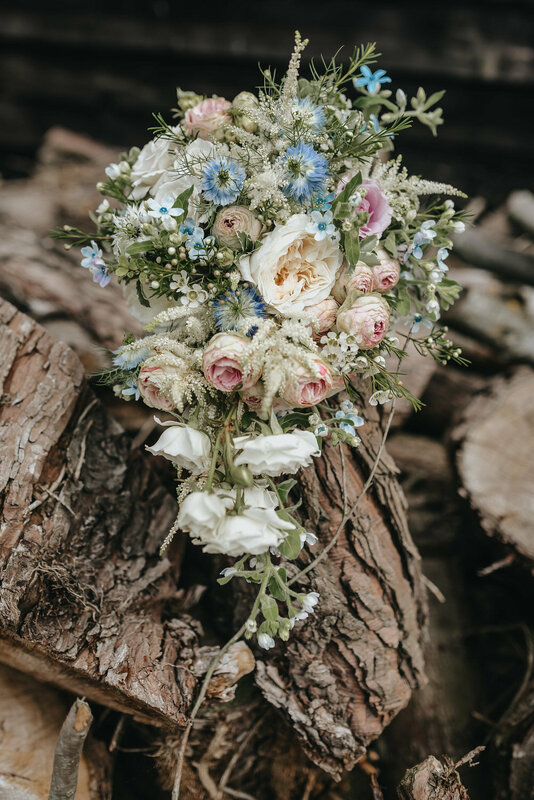 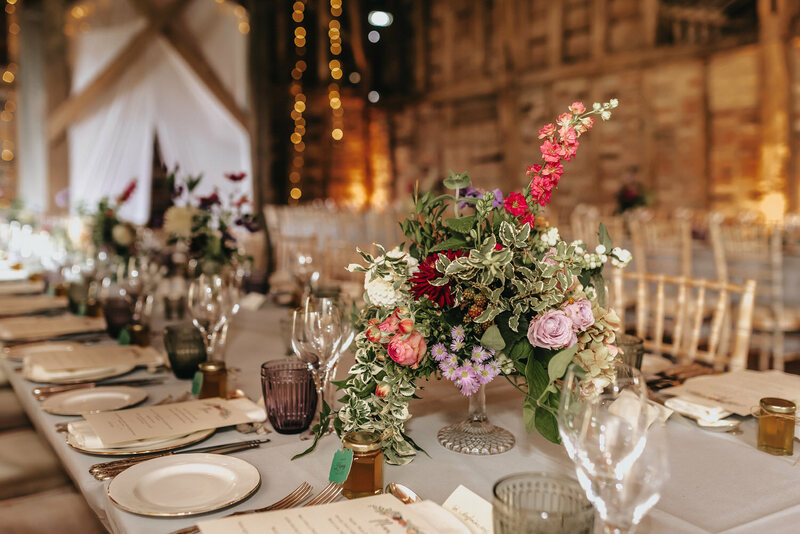 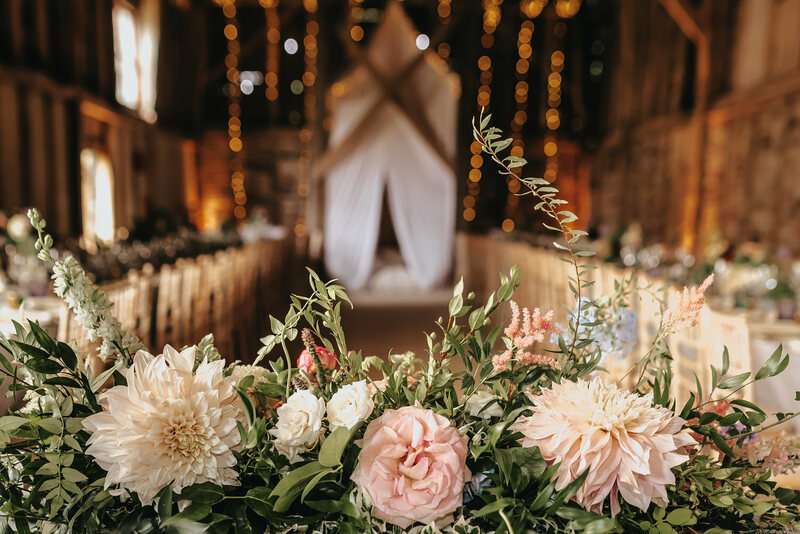 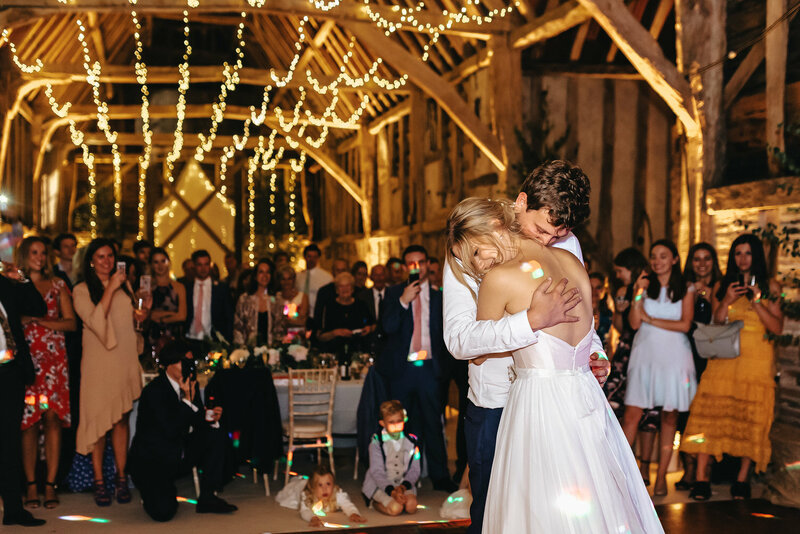 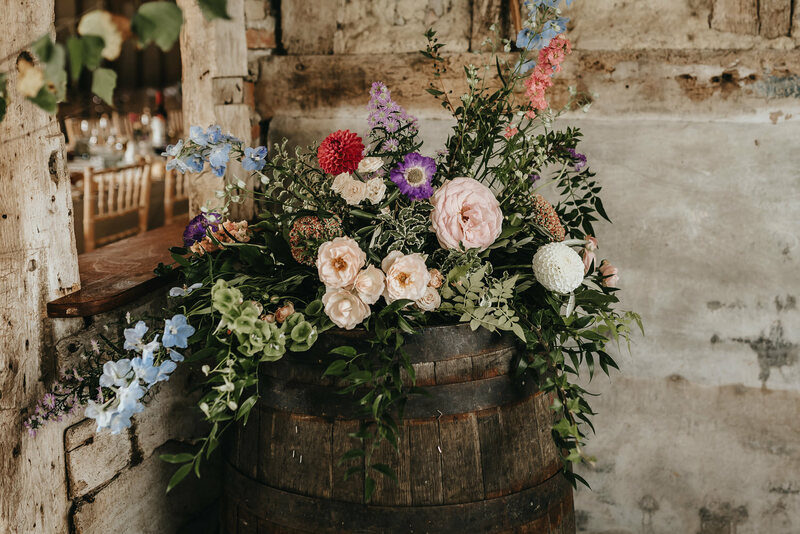 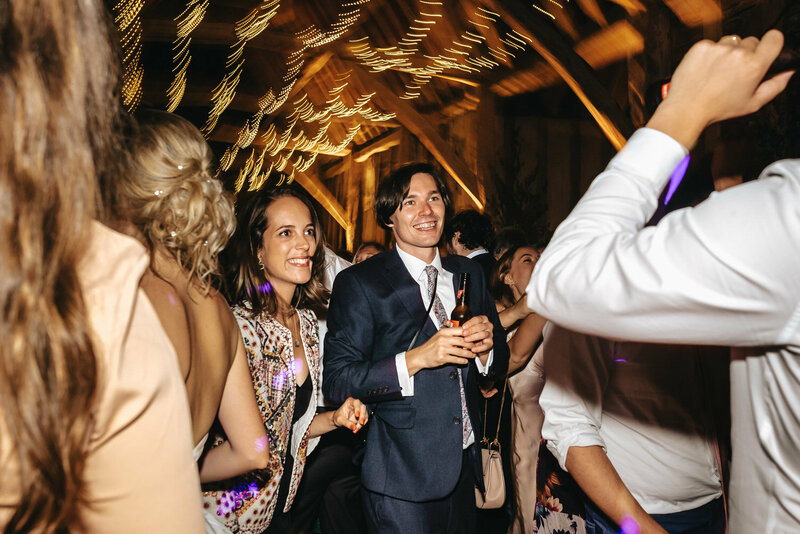 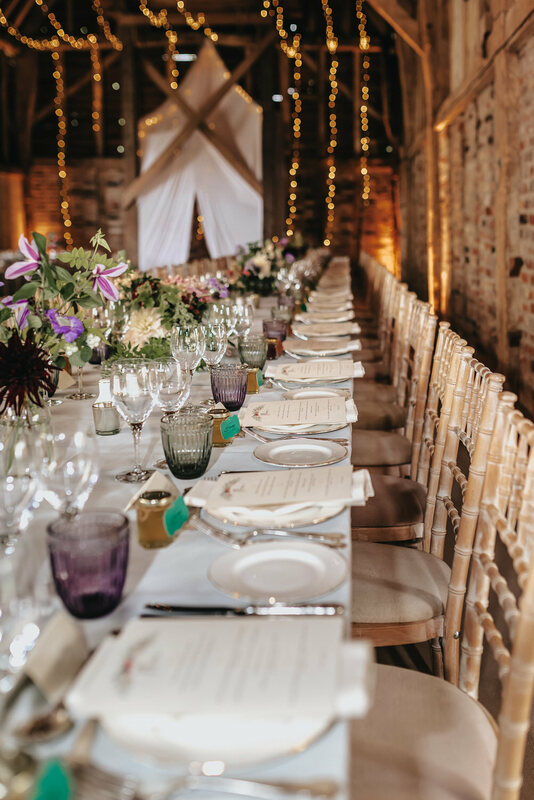 The wild flowers, fairy lights and oak beams gave the barn a magical whimsical air like it had just floated out of a scene in A Midsummer Night’s Dream. 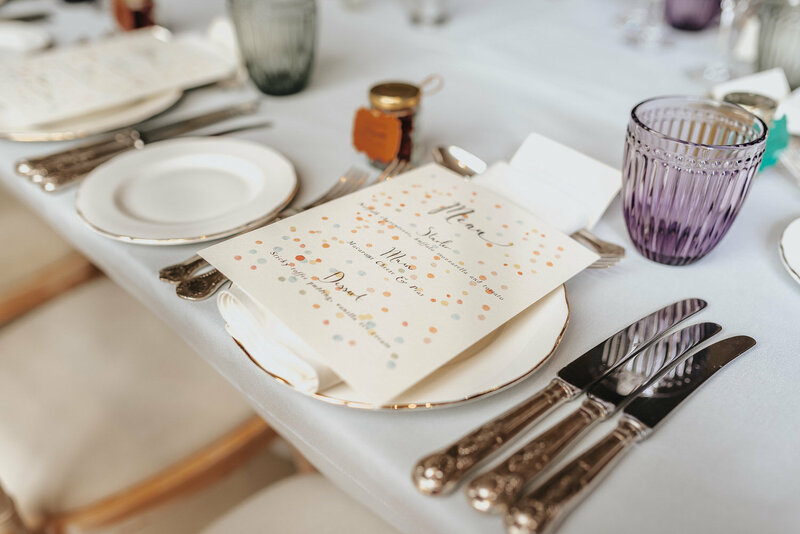 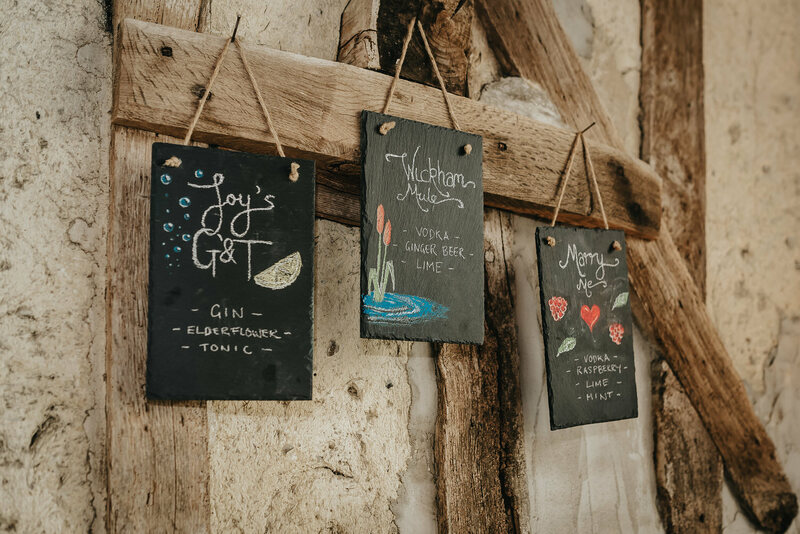 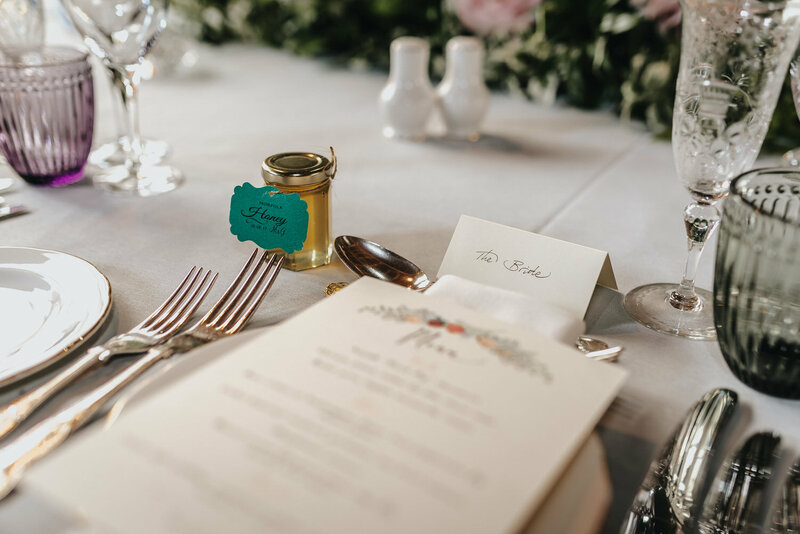 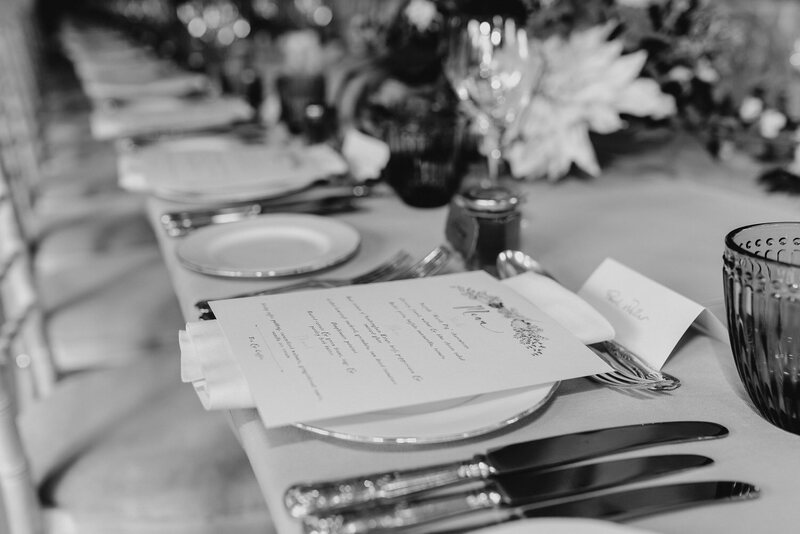 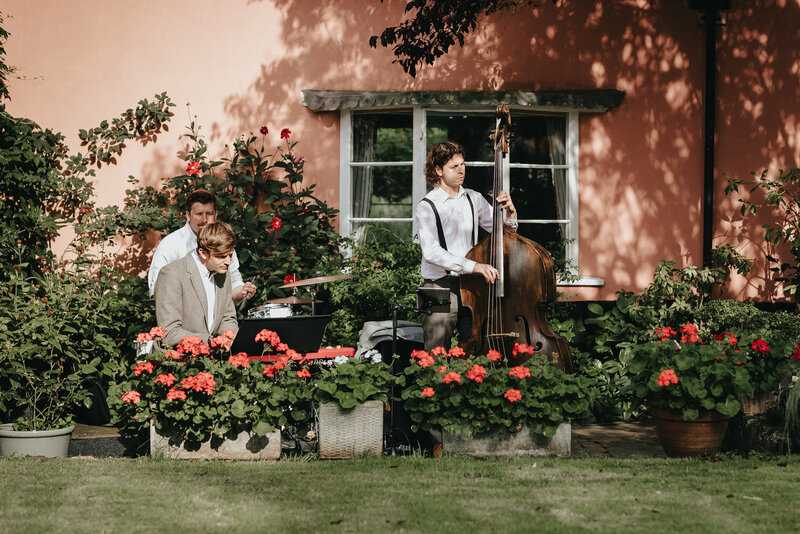 I always say that it‘s the little touches at weddings that tell you something of the couples personalities and at Maddie and George’s Norfolk farm wedding I loved the detail they went into with the flowers in the barn, the cocktail menu chalkboards hanging on the walls, the Norfolk honey wedding favours and the jazz band playing in the garden. 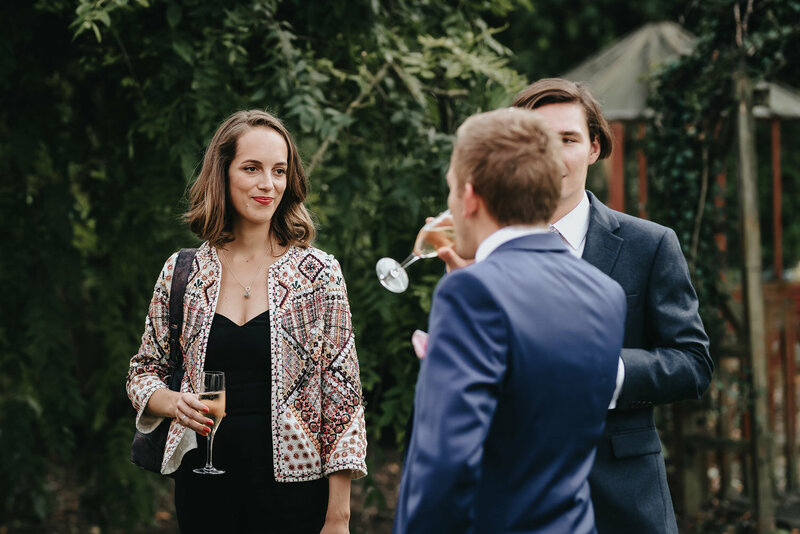 Really, I could go on! 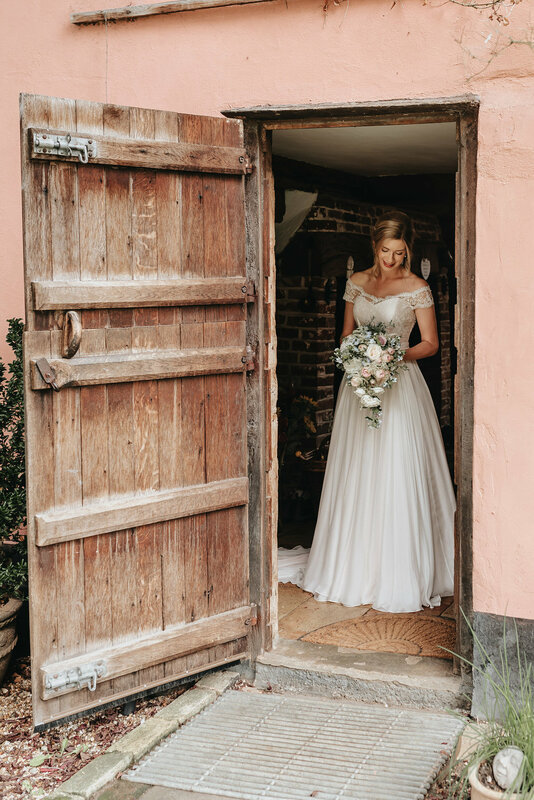 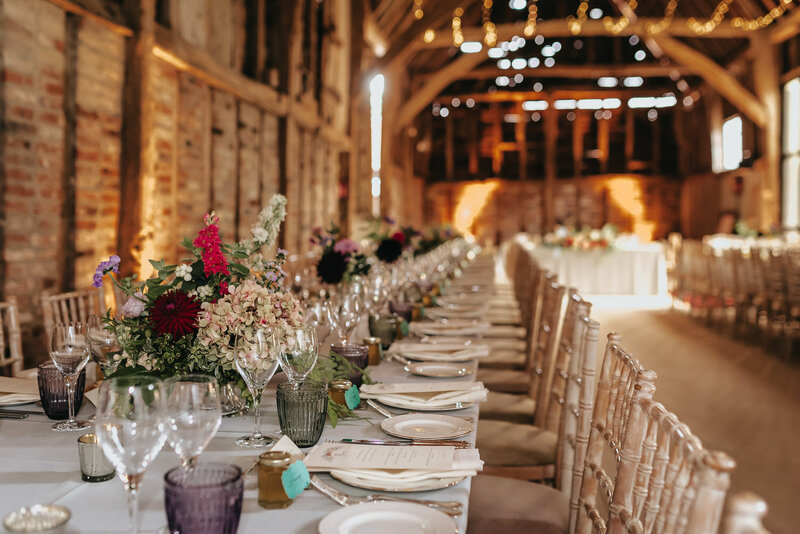 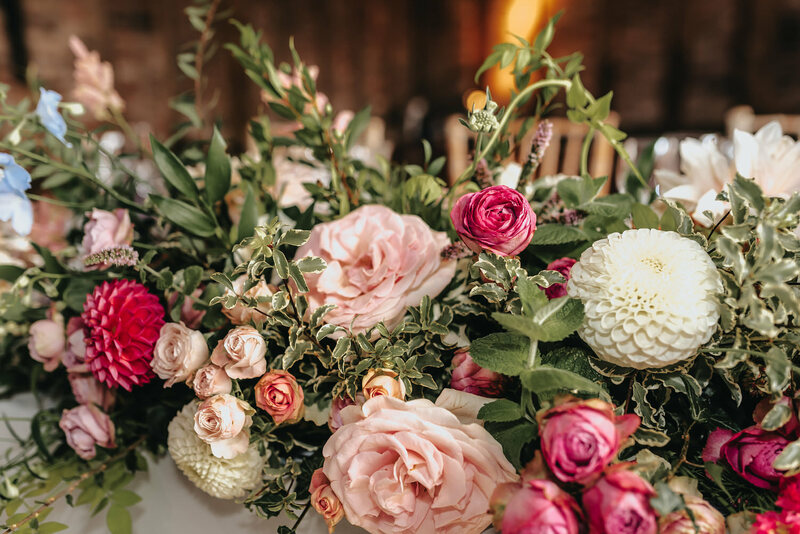 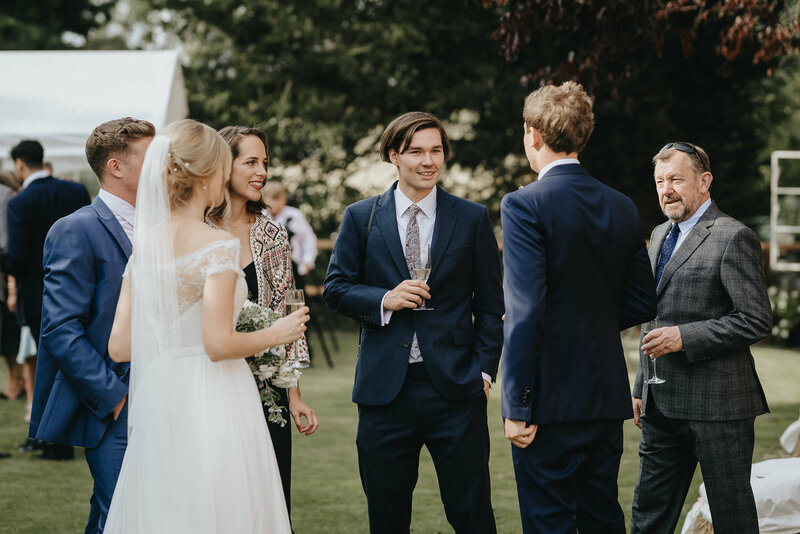 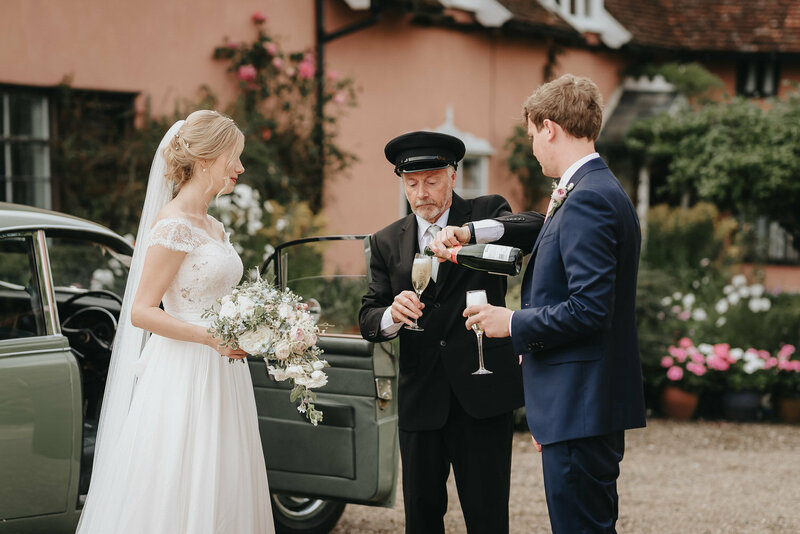 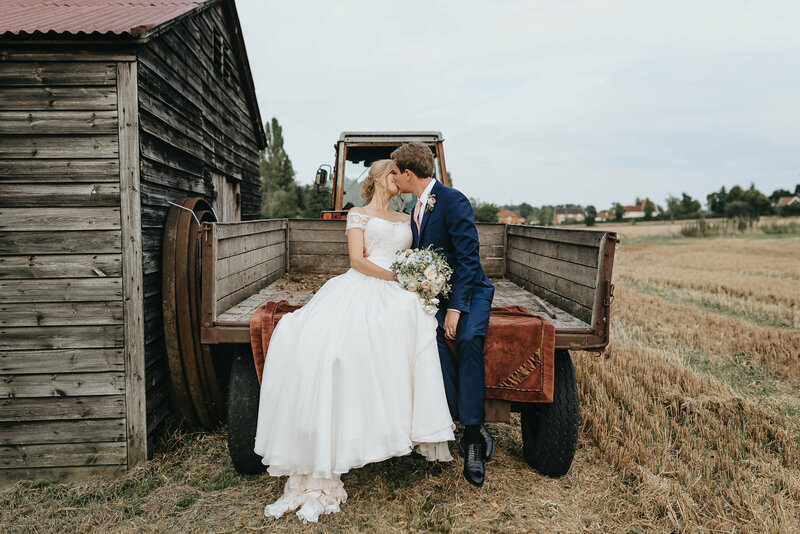 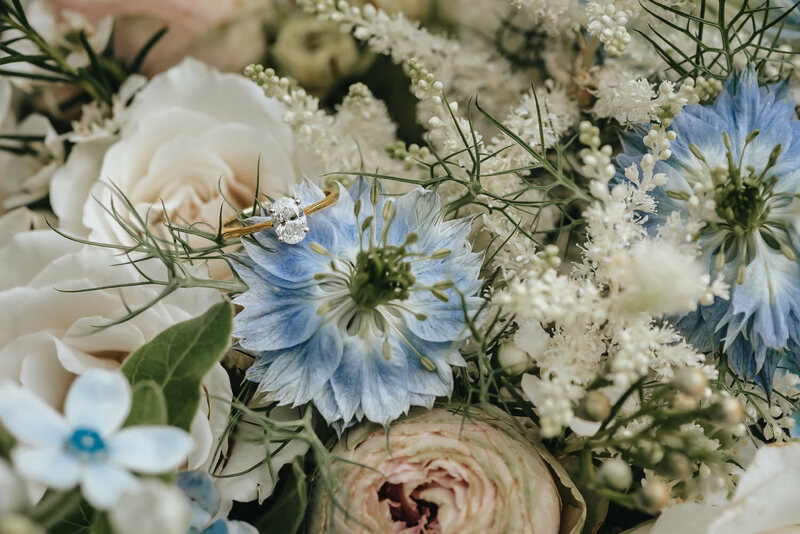 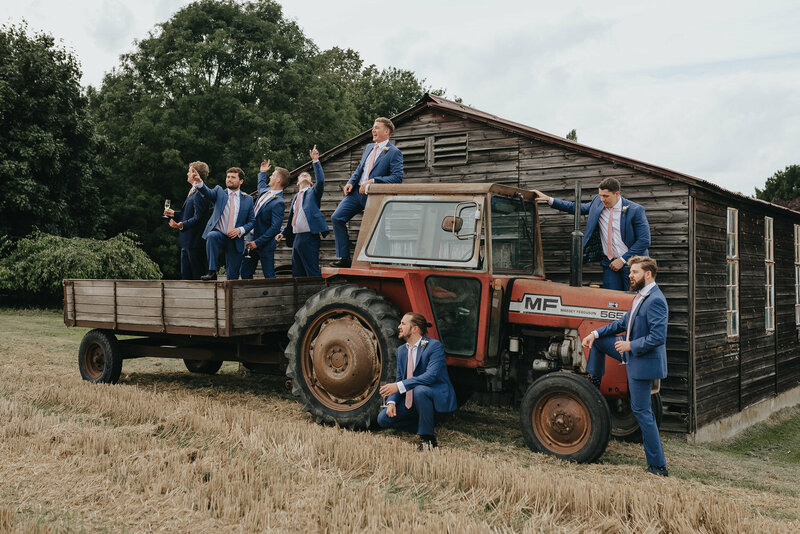 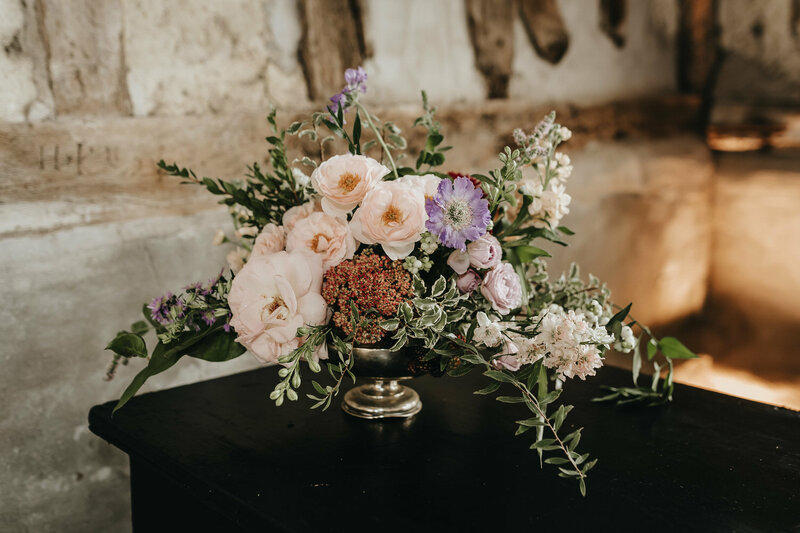 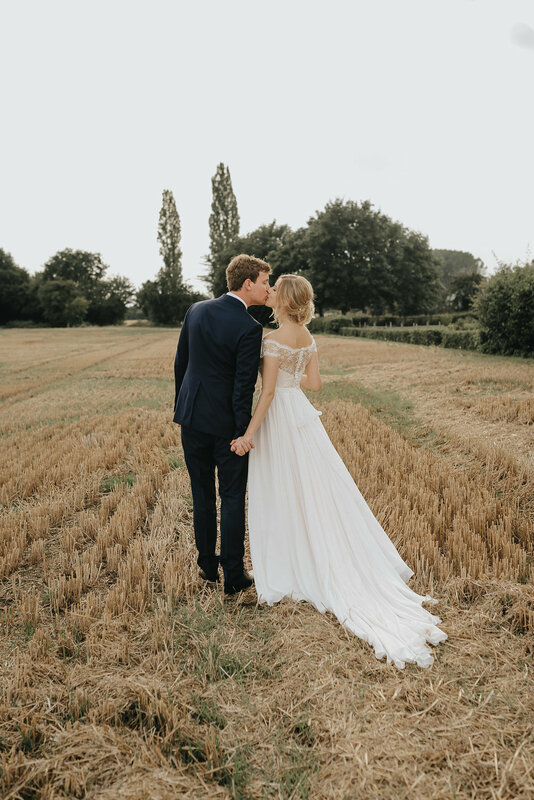 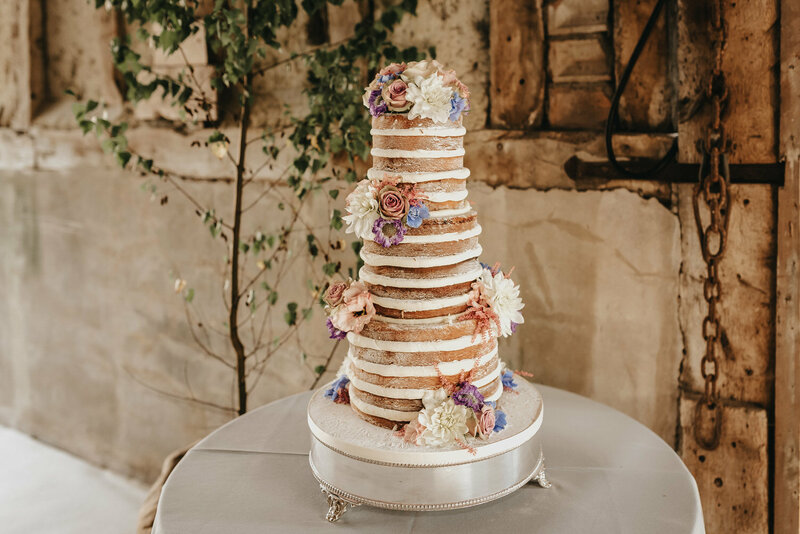 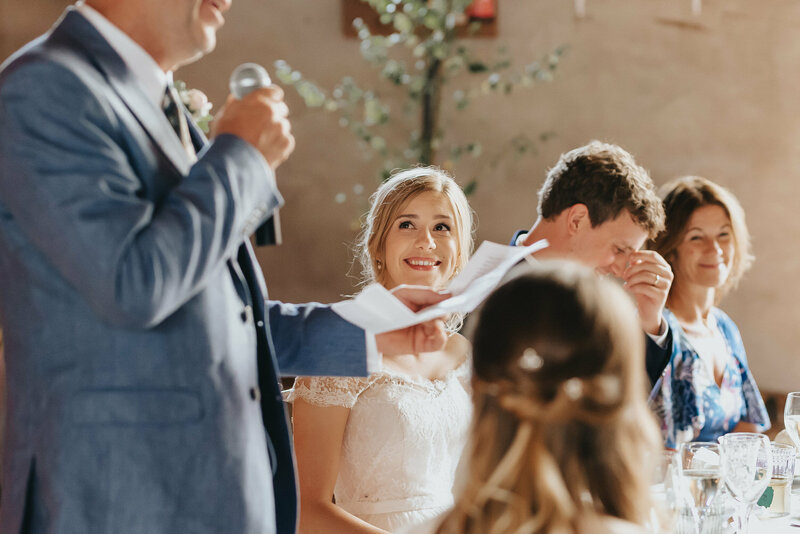 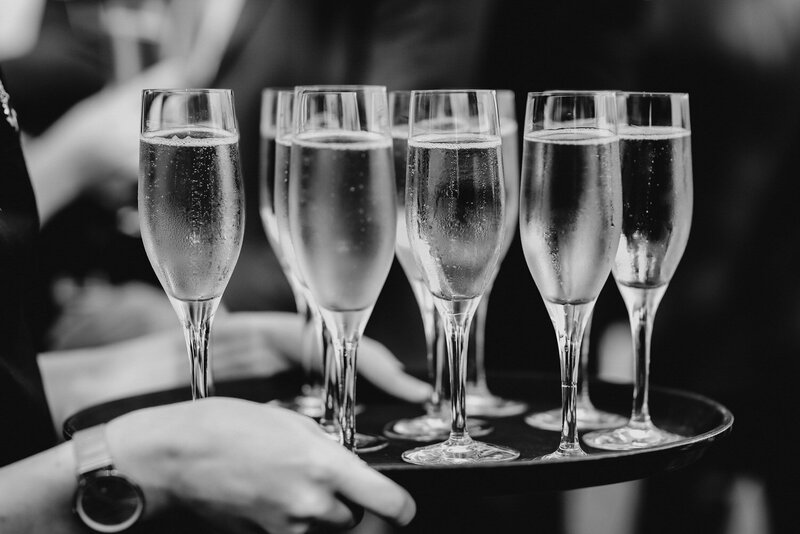 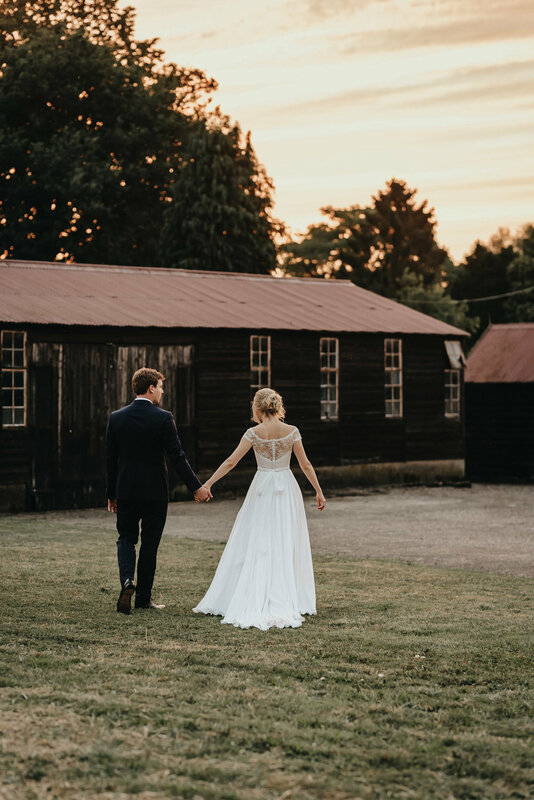 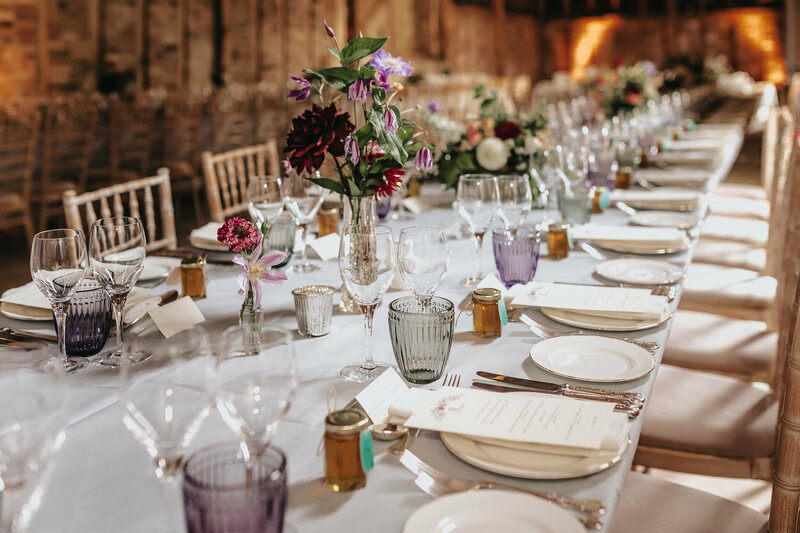 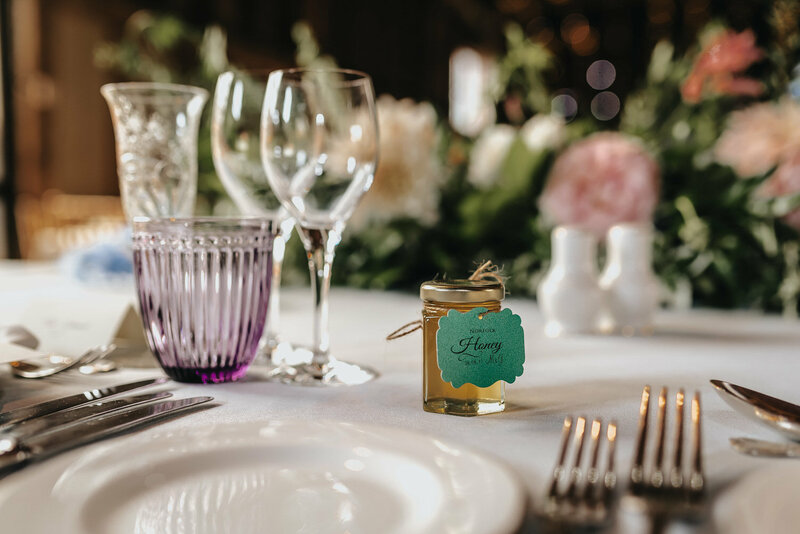 If you’re planning your Norfolk farm wedding take a look at the suppliers list at the end of this blog! 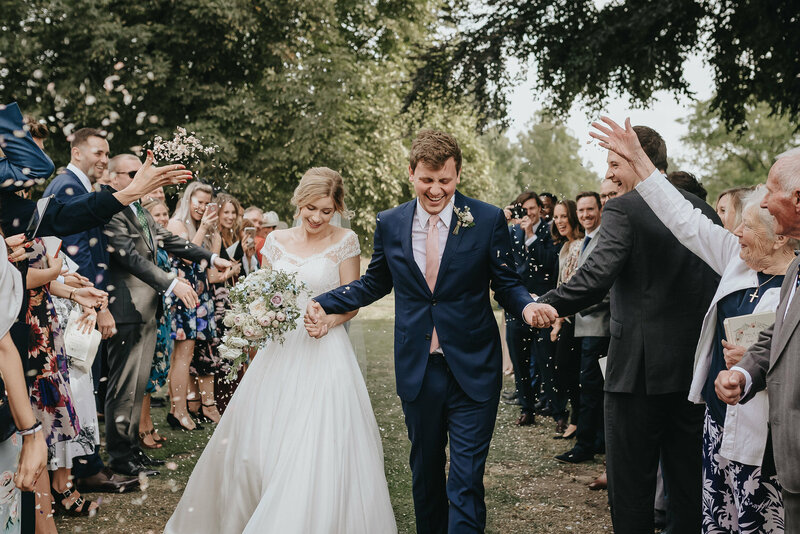 It was clear that Maddie and George knew what they wanted for their day and as you can see from these images, everybody more than delivered.